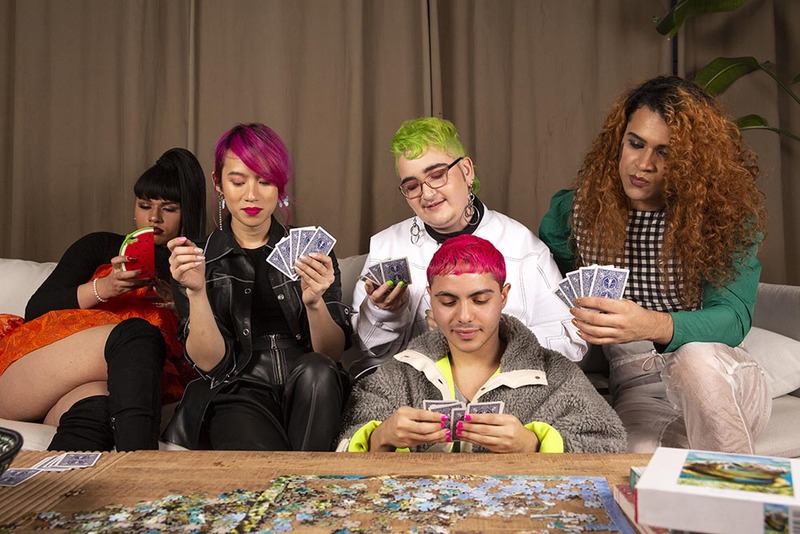 The Gender Spectrum Collection is a stock photo library featuring images of trans and non-binary models that go beyond the clichés. This collection aims to help media better represent members of these communities as people not necessarily defined by their gender identities—people with careers, relationships, talents, passions, and home lives. A masculine person looking out into the sunset. Three friends with painted nails sitting on a couch. 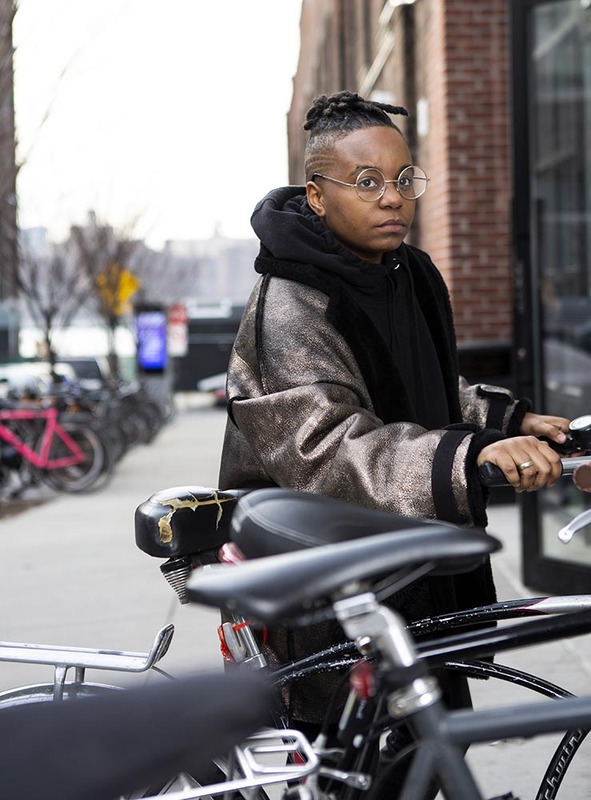 A transmasculine person with his hands on the handle bars of a bike. 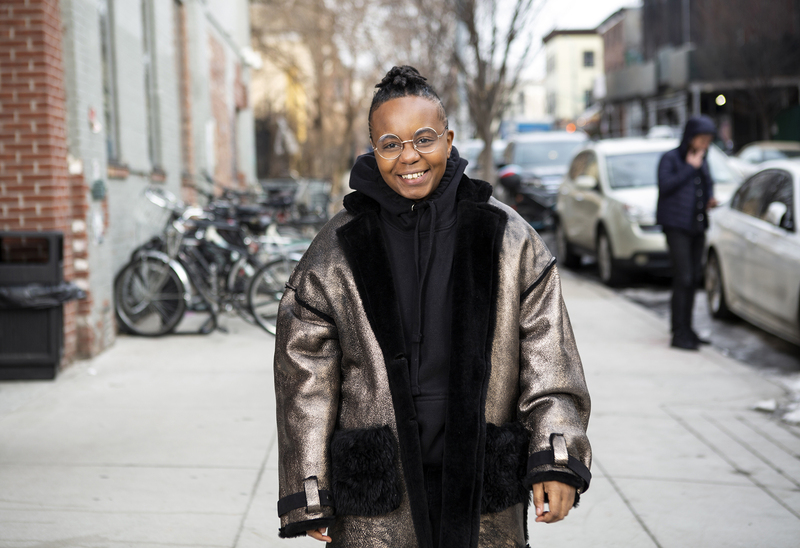 A transmasculine person in a winter coat on the sidewalk. 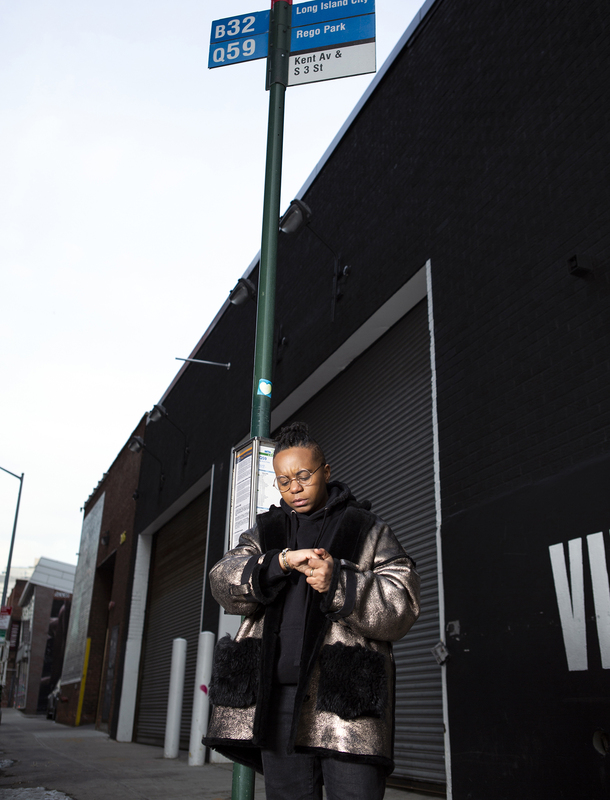 A transmasculine person checking his watch in a park. 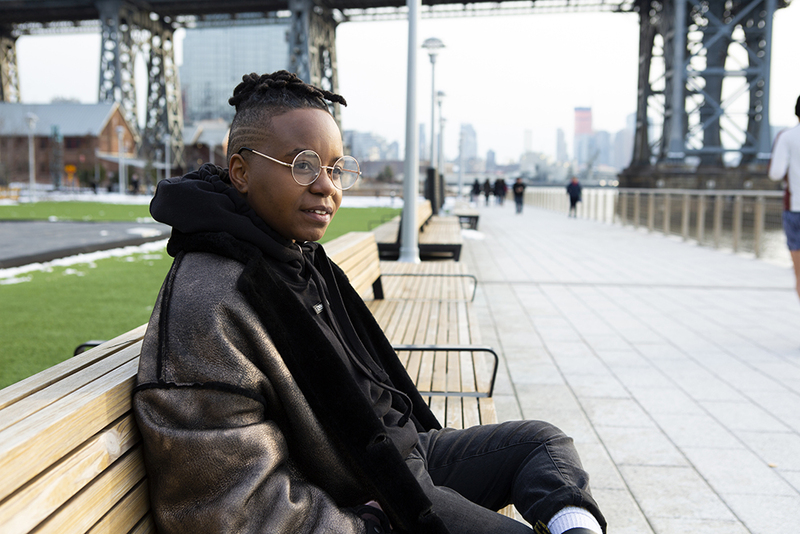 A transmasculine person sitting in a park and smiling. A transmasculine person sitting in a park and thinking. 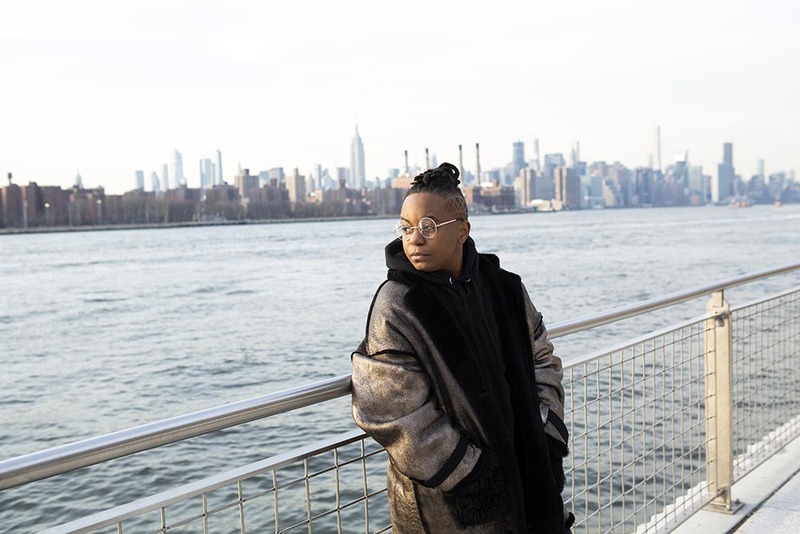 A transmasculine person standing by the water and looking into the distance. A transmasculine person standing by the water and checking his watch. 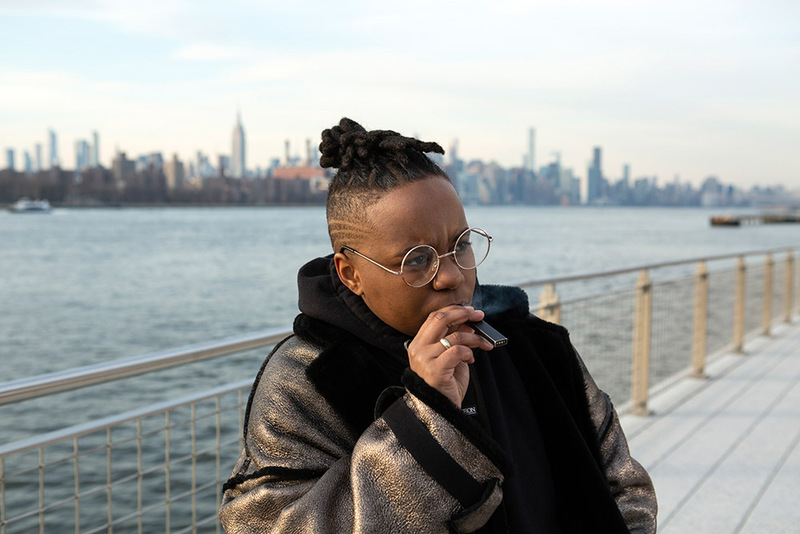 A transmasculine person standing by the water and smoking an e-cigarette. 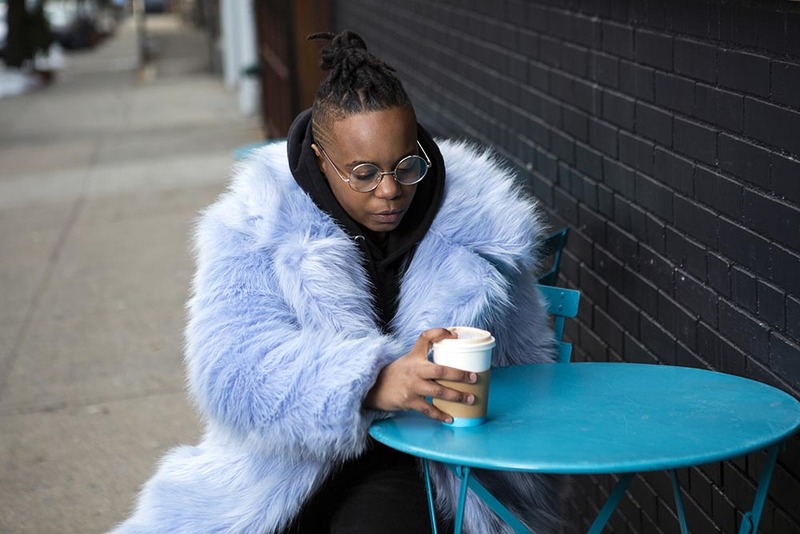 A transmasculine person with a furry blue coat sitting outdoors with a cup of coffee. 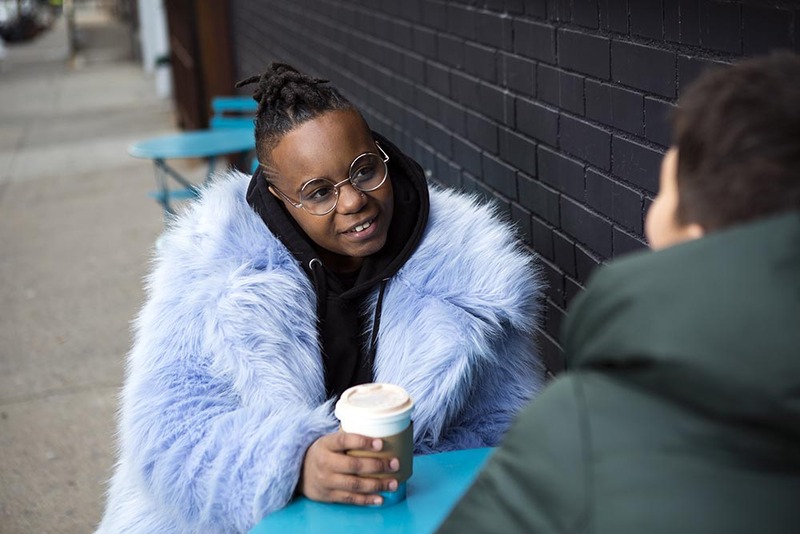 A transmasculine person with a furry blue coat drinking coffee with a friend. A transmasculine person waiting for the bus. 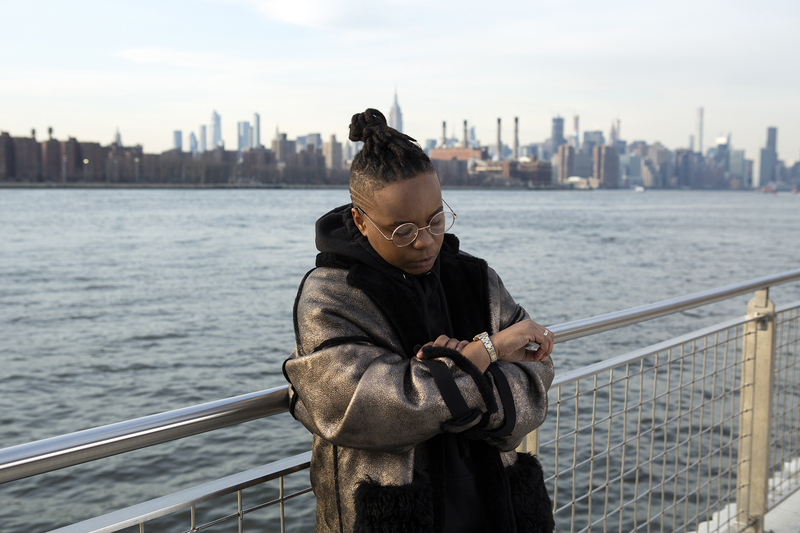 A transgender woman standing at a bar with her hand under her chin. 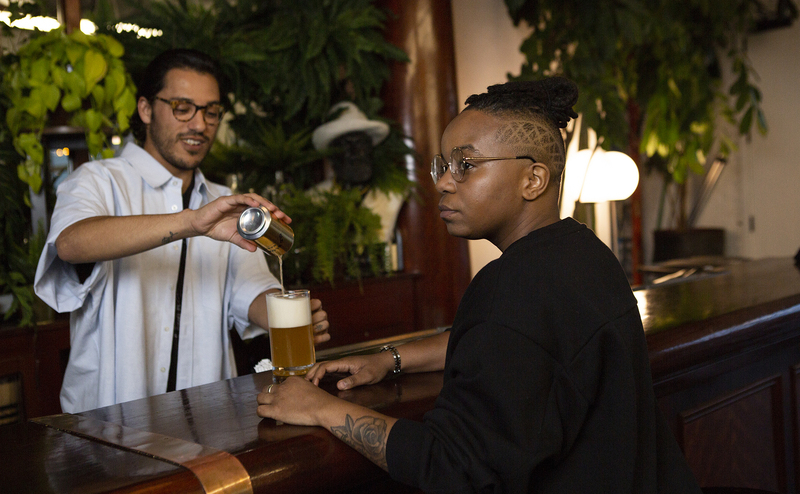 A transmasculine person getting a beer at a bar. A transmasculine person with a friend at a bar. 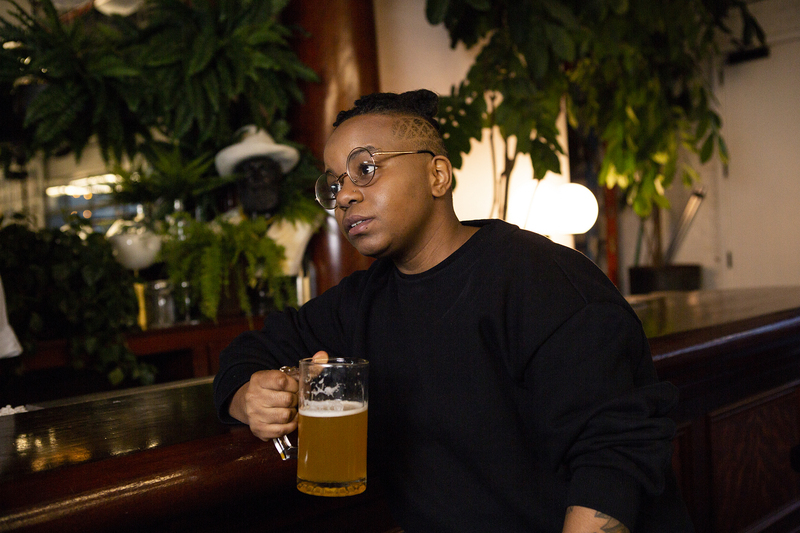 A transmasculine person drinking beer at a bar. 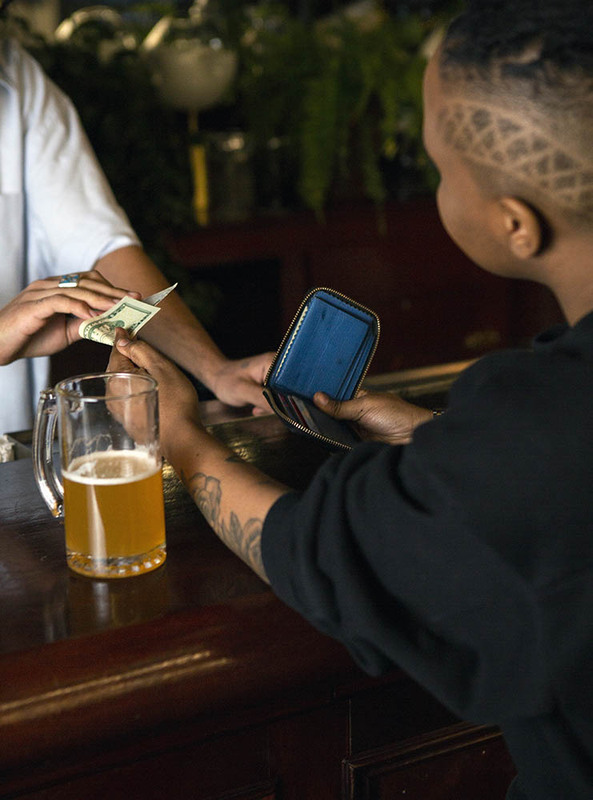 A transmasculine person paying for a beer at a bar. 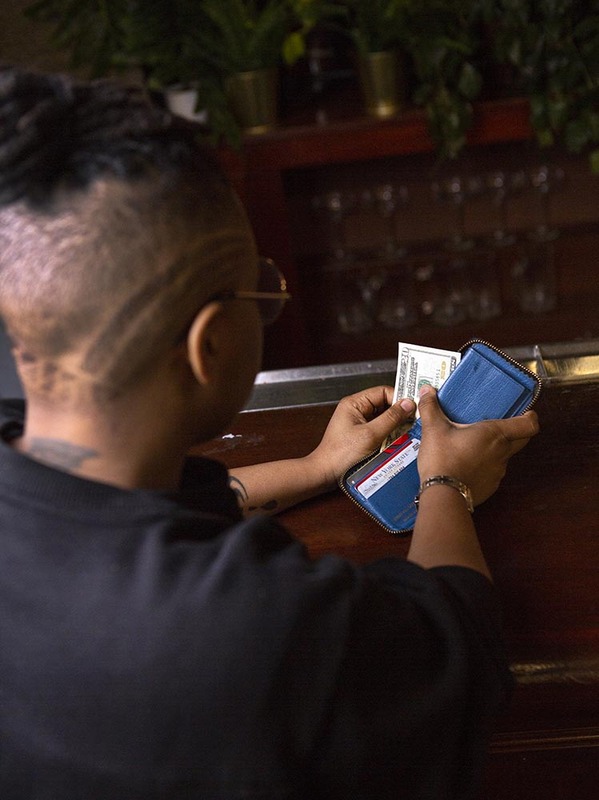 A transmasculine person taking money out of their wallet. 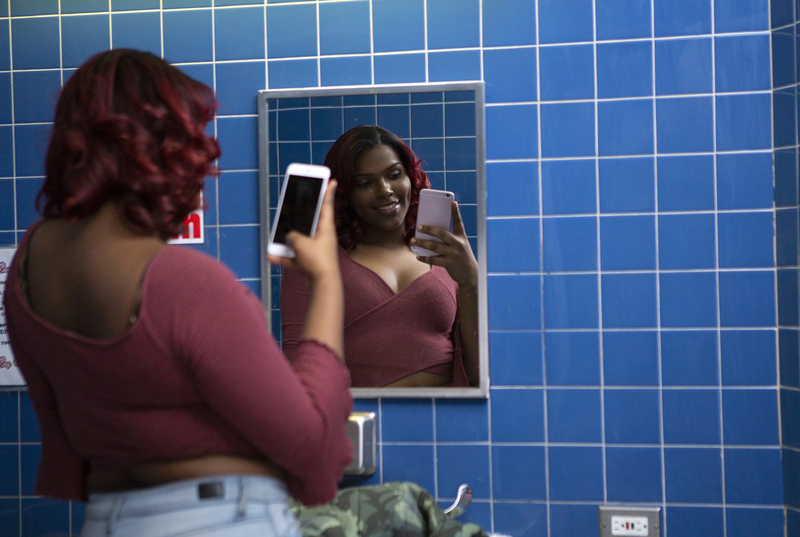 A young transgender woman looking in a bathroom mirror. 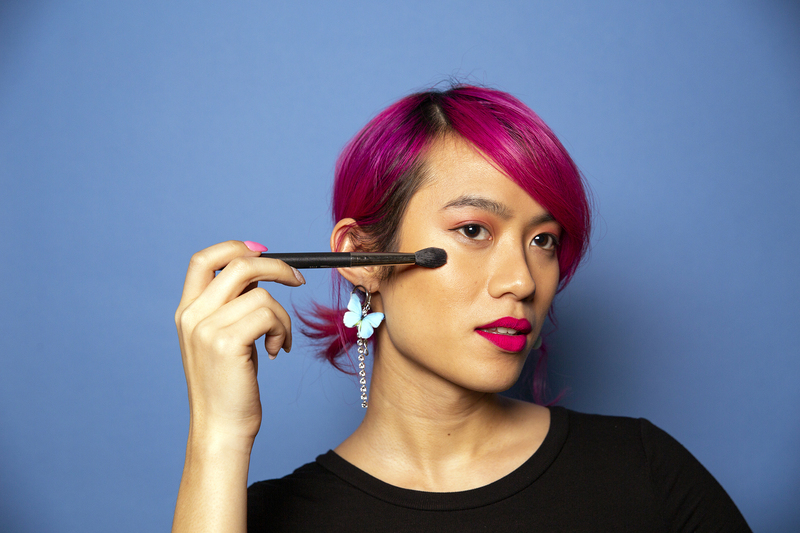 A non-binary femme in a gender neutral bathroom. 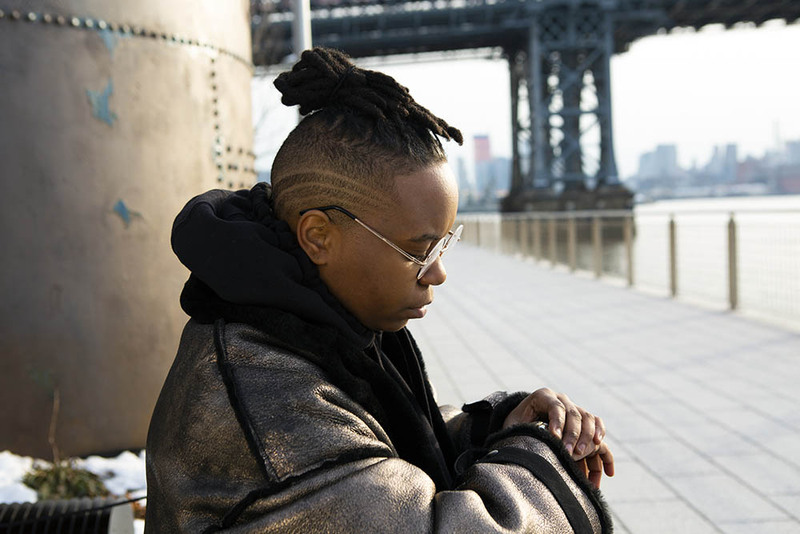 A transmasculine gender-nonconforming person sitting on a bed. 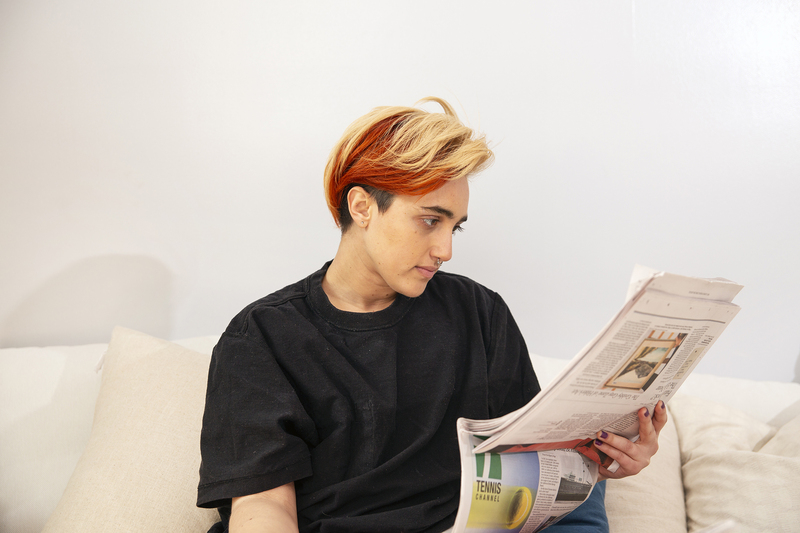 A transmasculine gender-nonconforming person reading the newspaper. 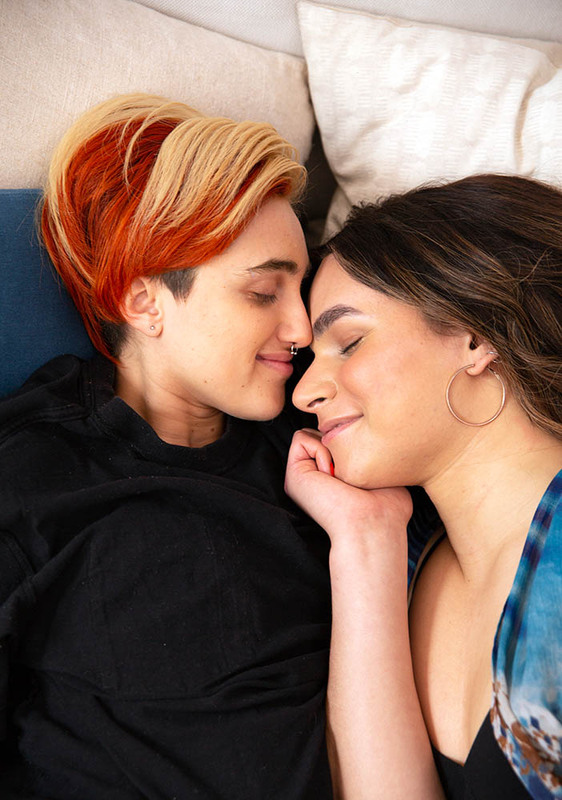 A transmasculine gender-nonconforming person and transfeminine non-binary person sleeping together in bed. 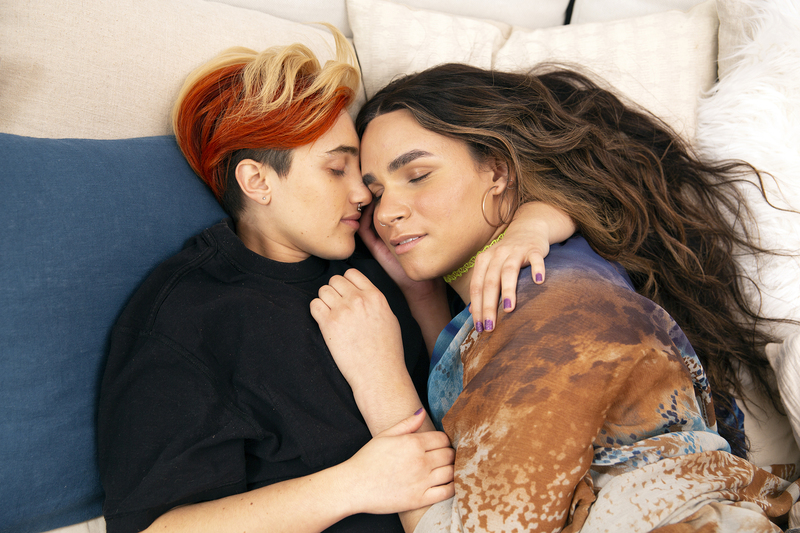 A transmasculine gender-nonconforming person and transfeminine non-binary person lounging on a bed together. 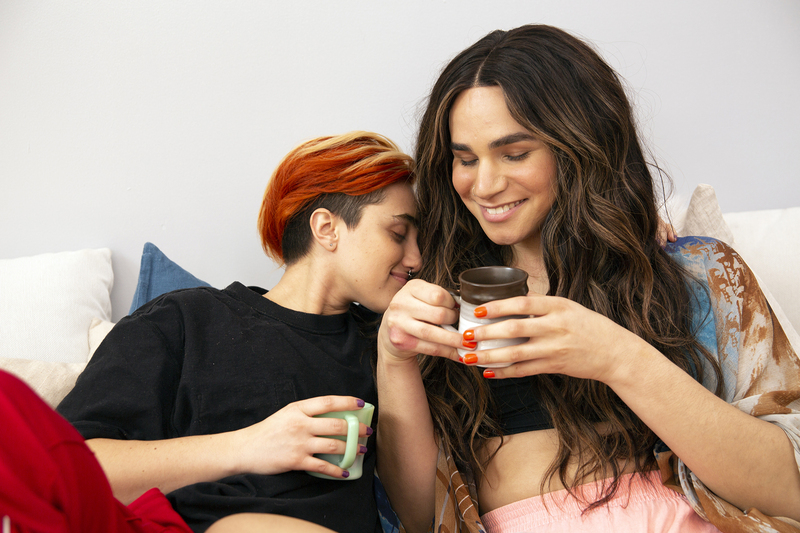 A transmasculine gender-nonconforming person and transfeminine non-binary person drinking coffee in bed. A transfeminine non-binary person and transmasculine gender-nonconforming person reading a magazine together. A genderfluid person burning sage. 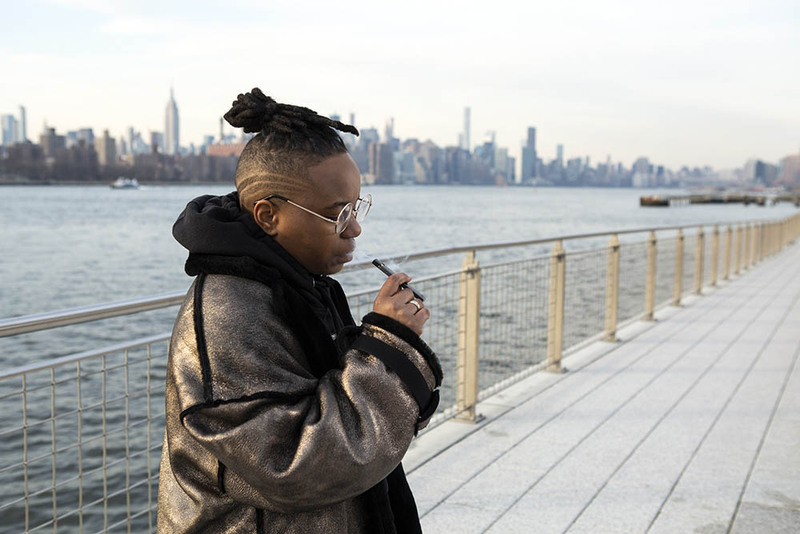 A genderfluid person burning sage above an altar. 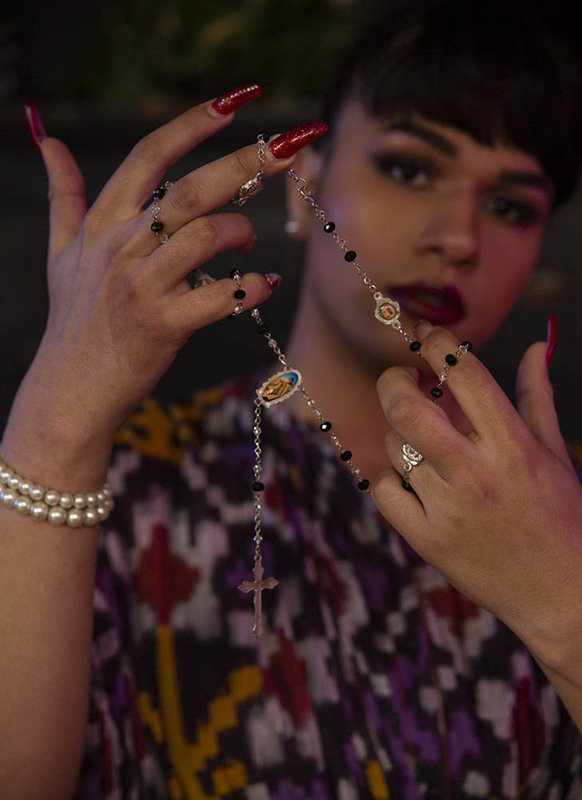 A transgender woman holding a rosary. 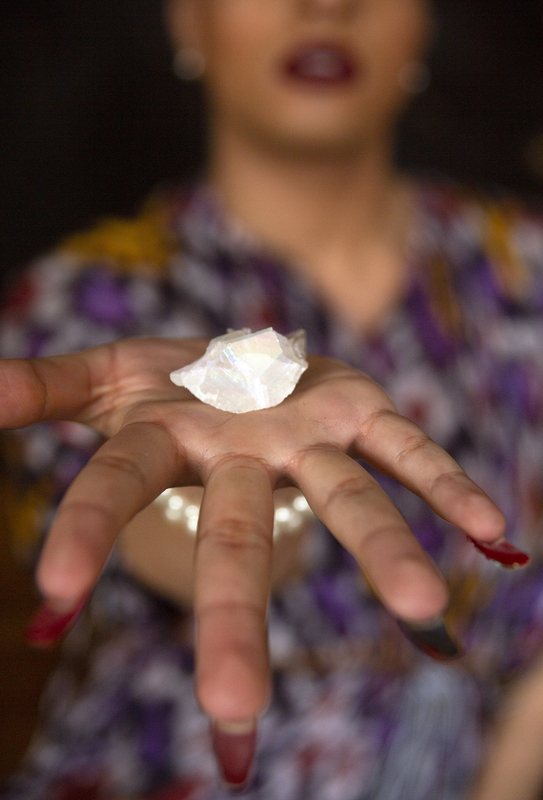 A transgender woman holding a crystal. 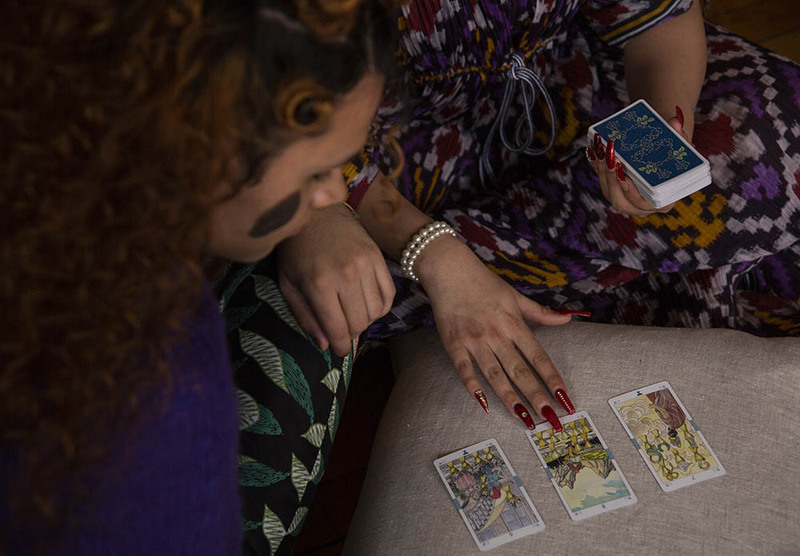 A transgender woman sitting with an altar. A genderfluid person and a transgender woman using a ouija board. 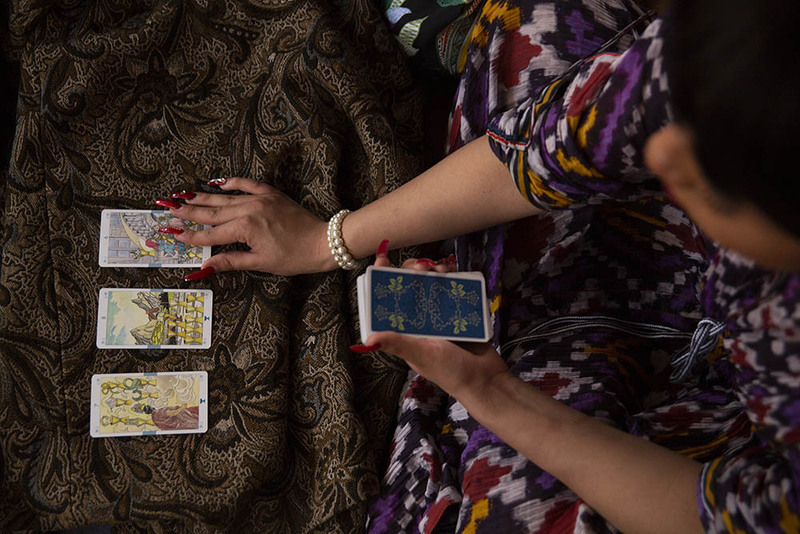 A transgender woman practicing tarot. 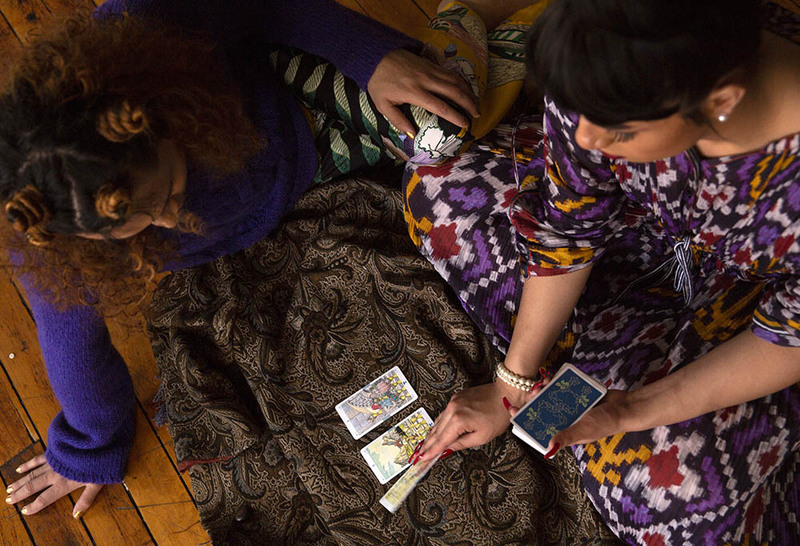 A genderfluid person and a transgender woman using practicing tarot. 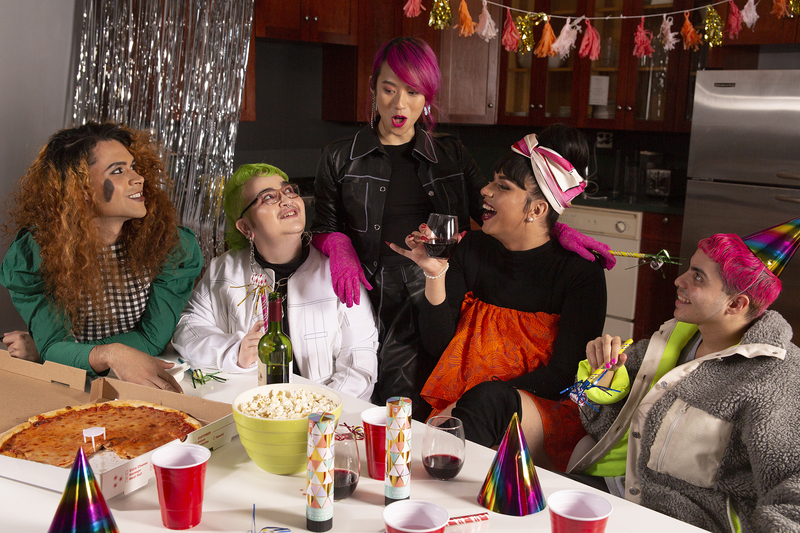 A group of friends of varying genders having a party. 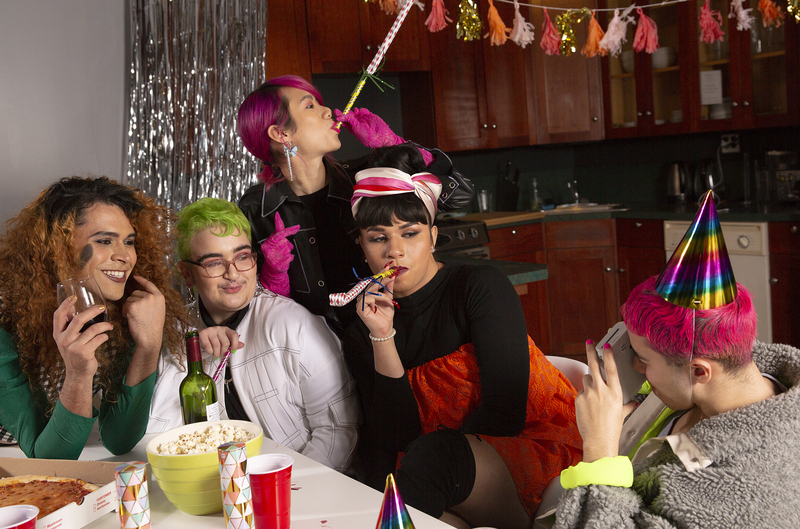 A group of friends of varying genders taking a photo together at a party having a party. 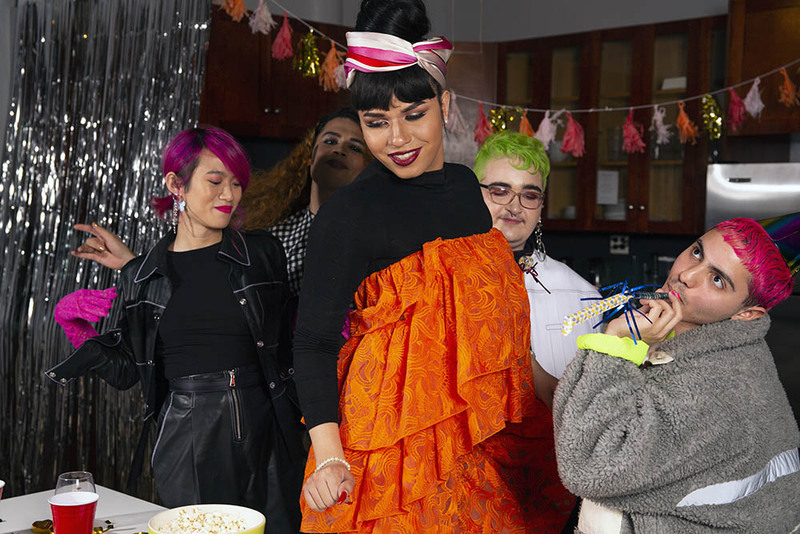 A group of friends of varying genders dancing at a party having a party. A group of friends of varying genders celebrating. 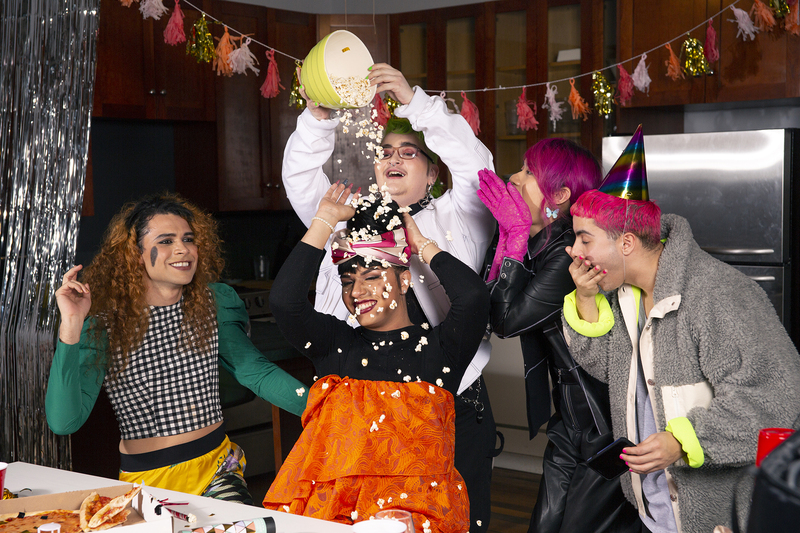 A group of friends of varying genders playing with popcorn at a party. A group of friends of varying genders playing cards. 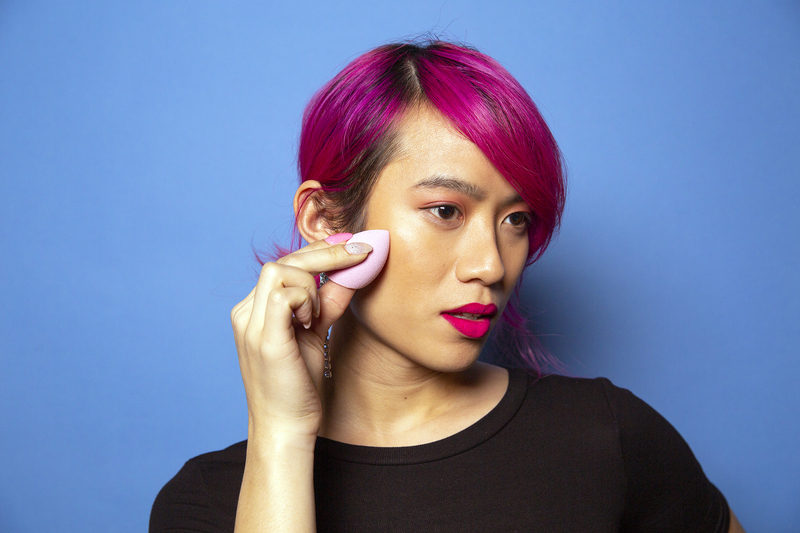 A genderqueer person using a beauty blender. 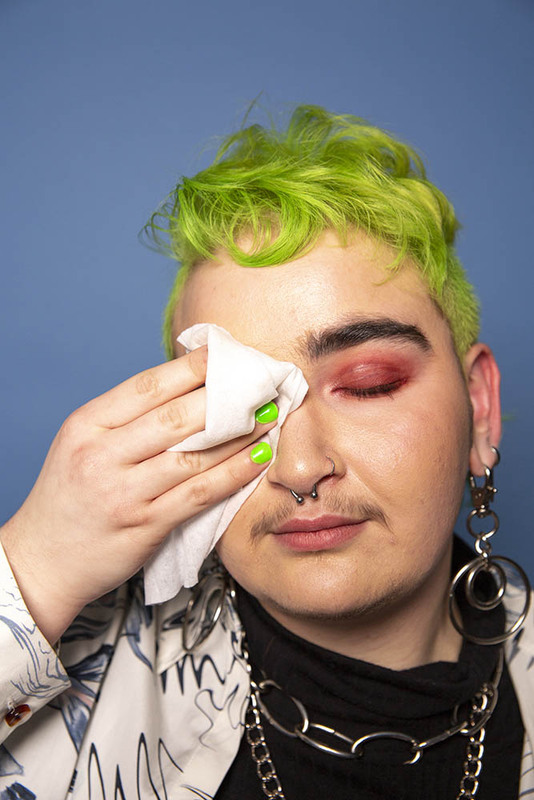 A genderqueer person using a makeup remover wipe. 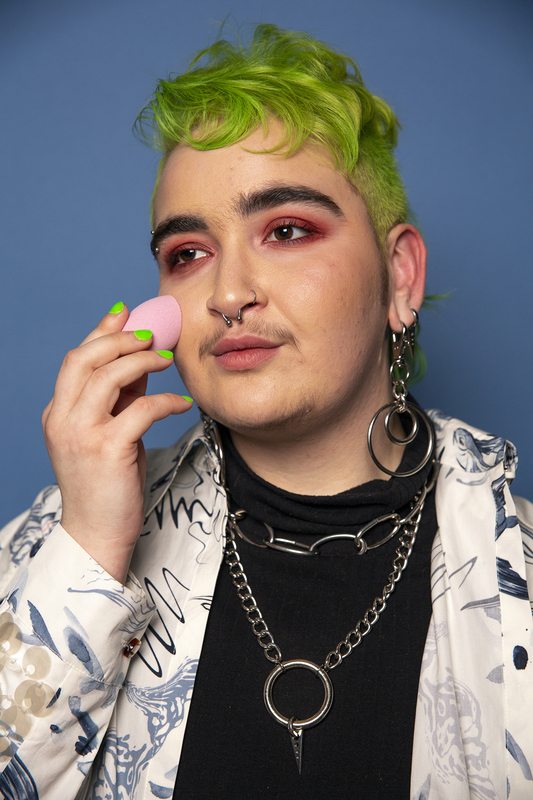 A non-binary femme using a beauty blender. 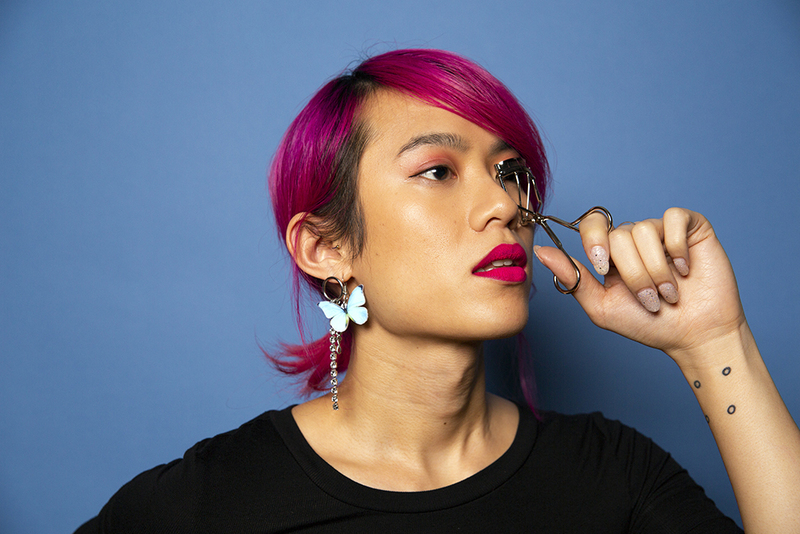 A non-binary femme using an eyelash curler. 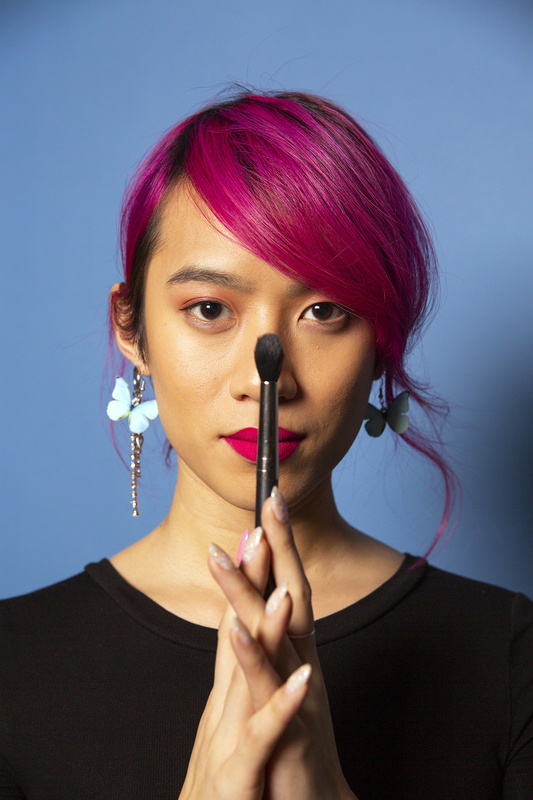 A non-binary femme using a makeup brush. A group of friends of varying genders gossiping. 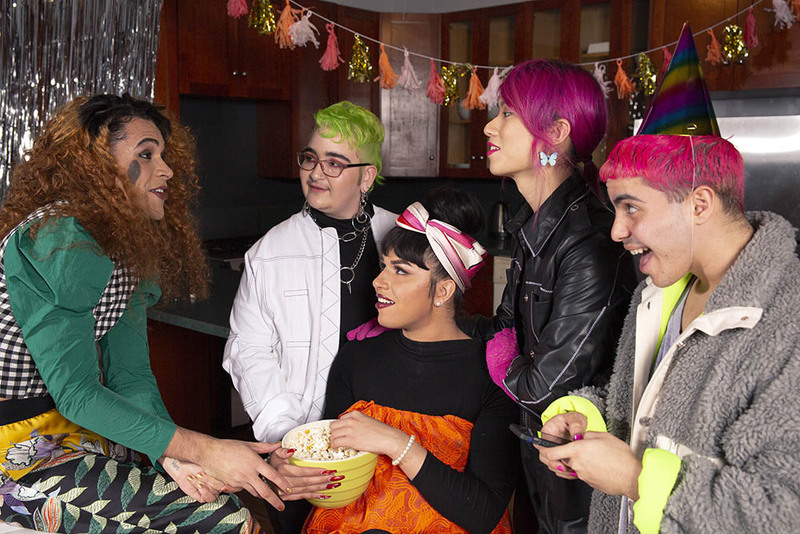 A group of friends of varying genders taking a photo at a party. 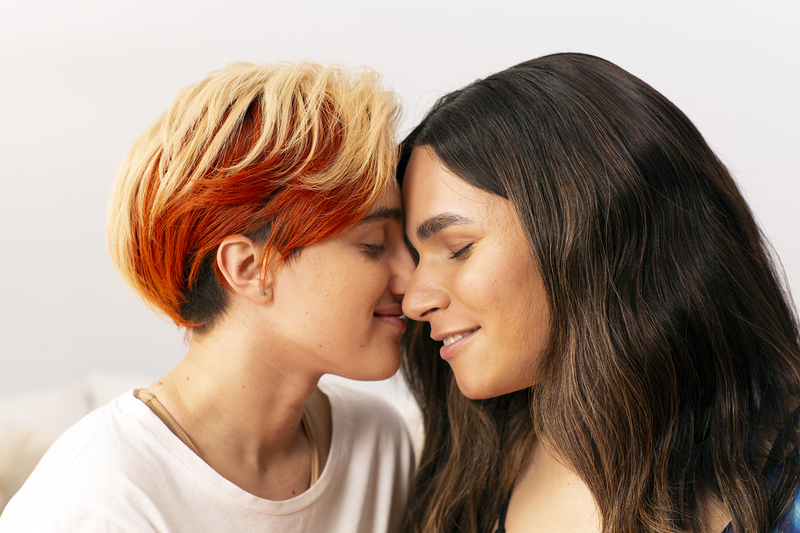 A transfeminine non-binary person and transmasculine gender-nonconforming person kissing. 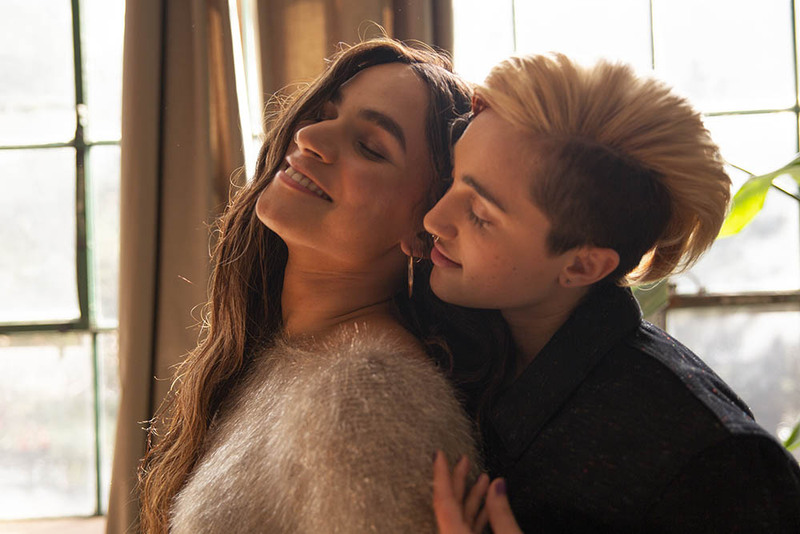 A transfeminine non-binary person and transmasculine gender-nonconforming person embracing. A transfeminine non-binary person and transmasculine gender-nonconforming person flirting. A transfeminine non-binary person and transmasculine gender-nonconforming person sharing an intimate moment. 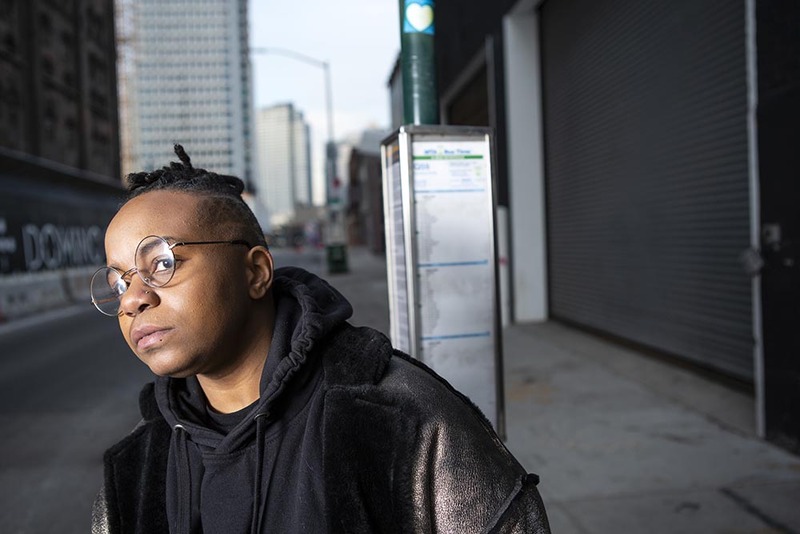 A transfeminine non-binary person and transmasculine gender-nonconforming person having an argument. 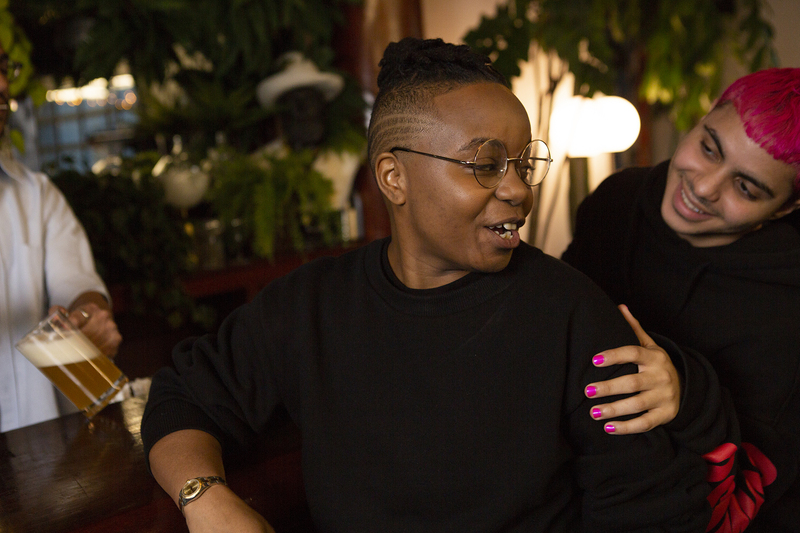 A transfeminine non-binary person and transmasculine gender-nonconforming person having an argument on a couch. A transfeminine non-binary person and transmasculine gender-nonconforming person look at each other on a couch. 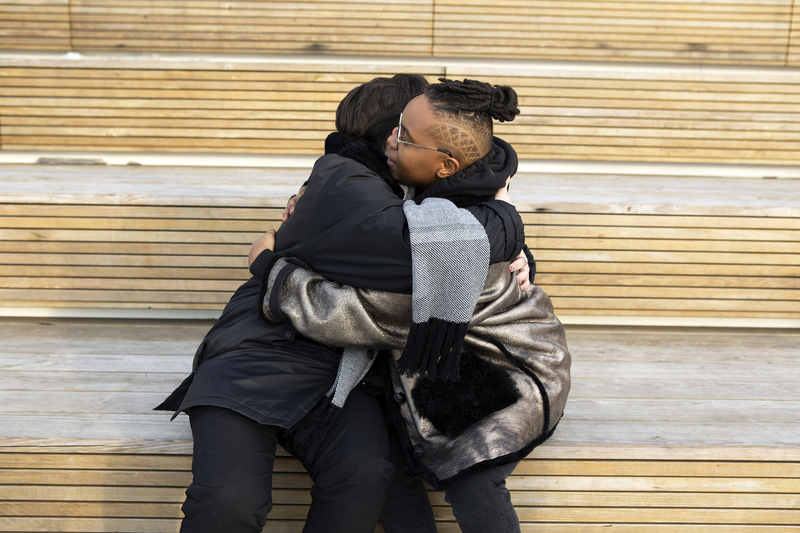 A transmasculine gender-nonconforming person and transfeminine non-binary person cuddling. A transmasculine gender-nonconforming person caressing the chest of a transfeminine non-binary person. A transmasculine gender-nonconforming person caressing the face of a transfeminine non-binary person. A transfeminine non-binary person caressing the hand of a transmasculine gender-nonconforming person. A transmasculine gender-nonconforming person and transfeminine non-binary person touching hands. 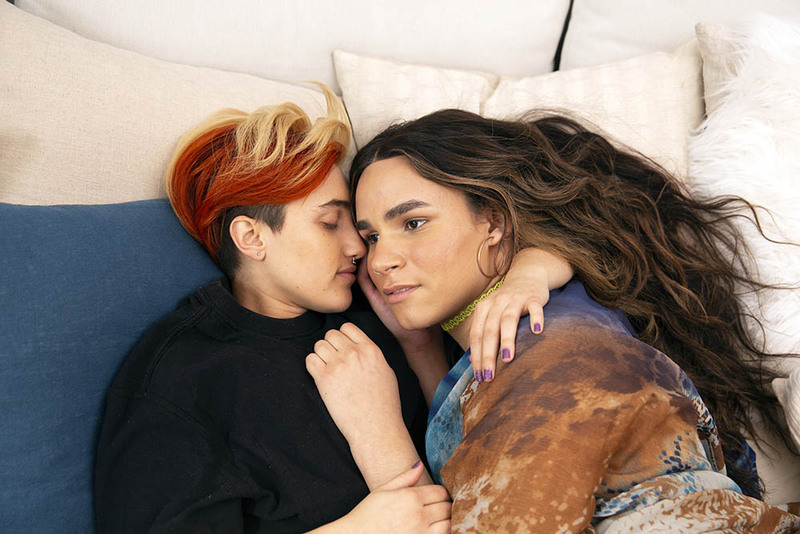 A transmasculine gender-nonconforming person and transfeminine non-binary person embracing on a bed. 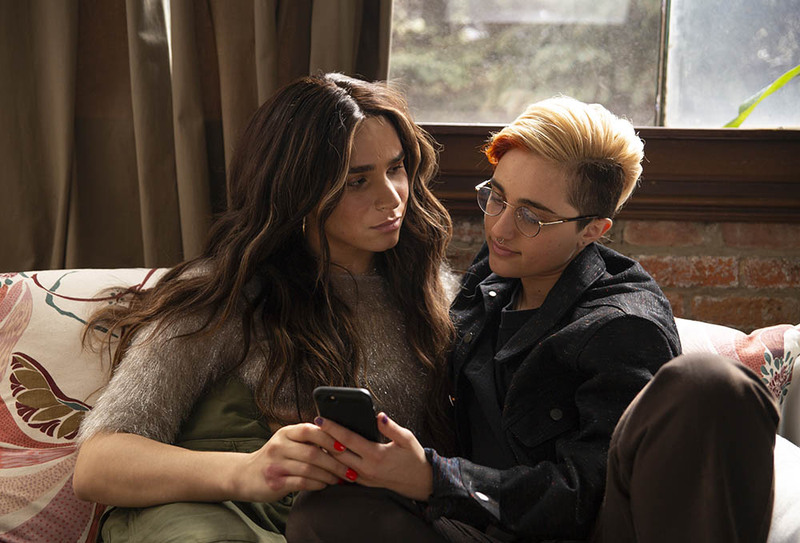 A transmasculine gender-nonconforming person and transfeminine non-binary person having a tense conversation on a bed. 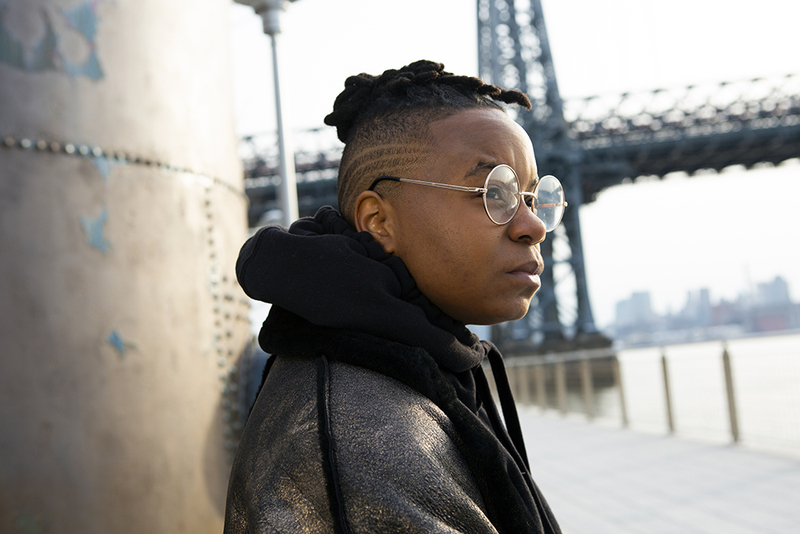 A transmasculine gender-nonconforming person and transfeminine non-binary person laying on a bed and looking in each other's eyes. 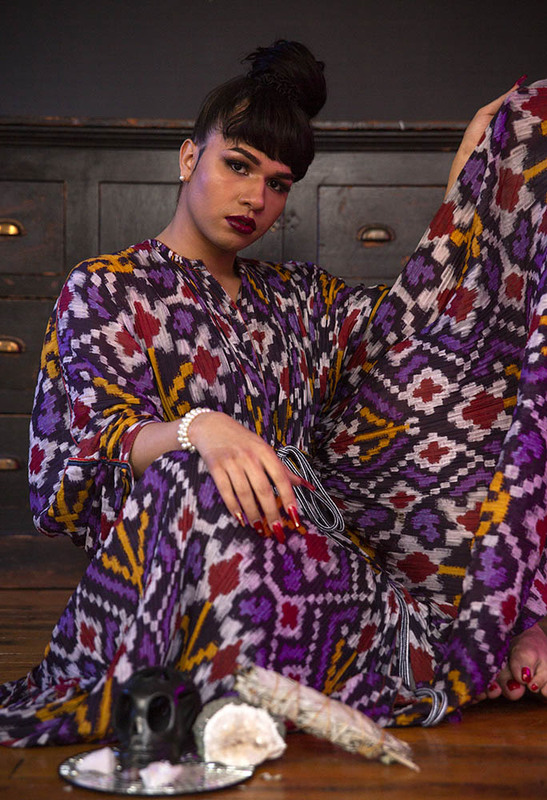 A transmasculine gender-nonconforming person and transfeminine non-binary person sitting on a bed and looking in each other's eyes. A transmasculine gender-nonconforming person and transfeminine non-binary person looking in each other's eyes. 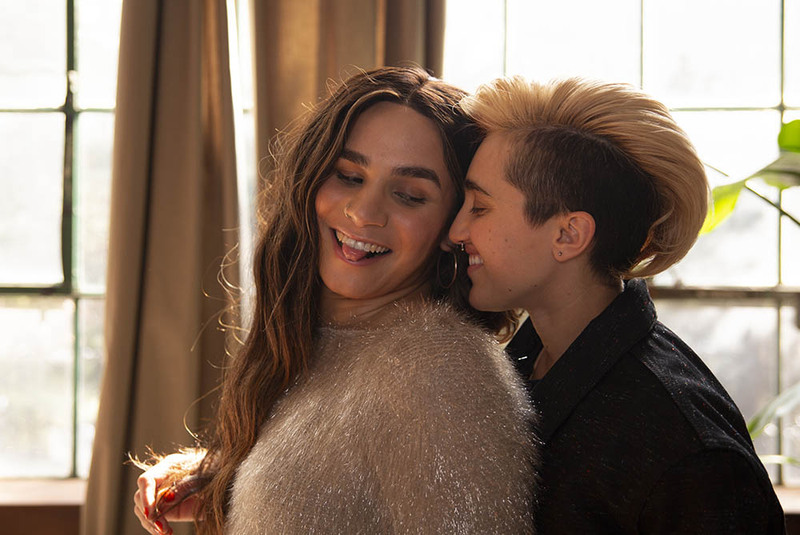 A transmasculine gender-nonconforming person and transfeminine non-binary person nuzzling. 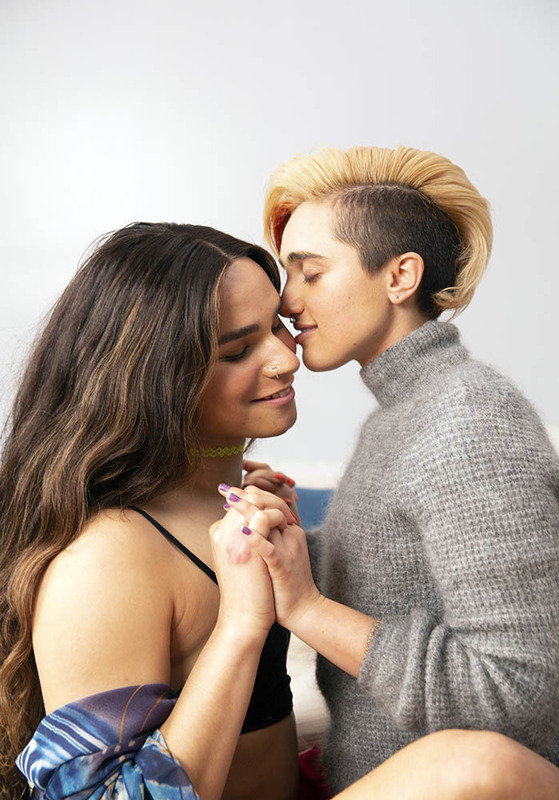 A transmasculine gender-nonconforming person and transfeminine non-binary person kissing. 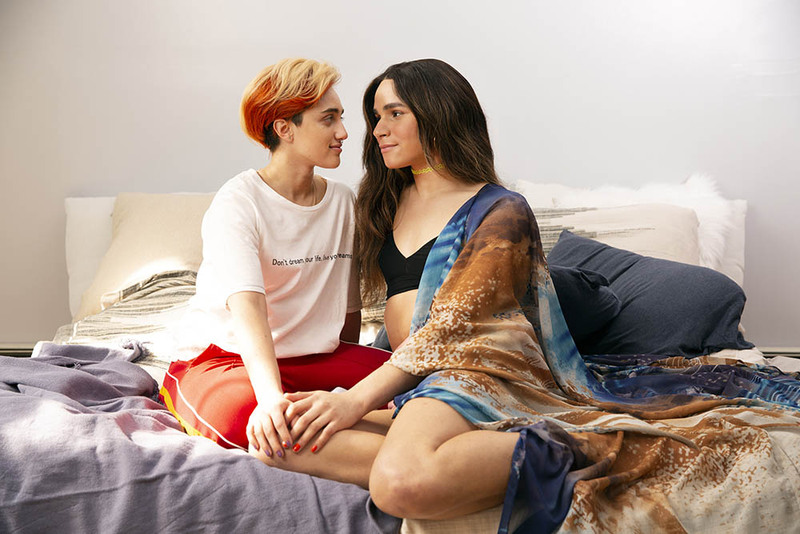 A transmasculine gender-nonconforming person and transfeminine non-binary person being intimate on a bed. 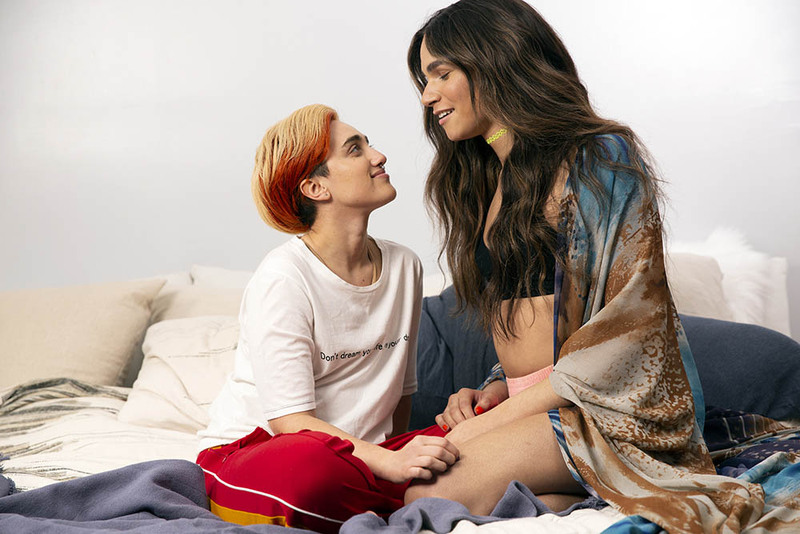 A transmasculine gender-nonconforming person and transfeminine non-binary person smiling at each other on a bed. 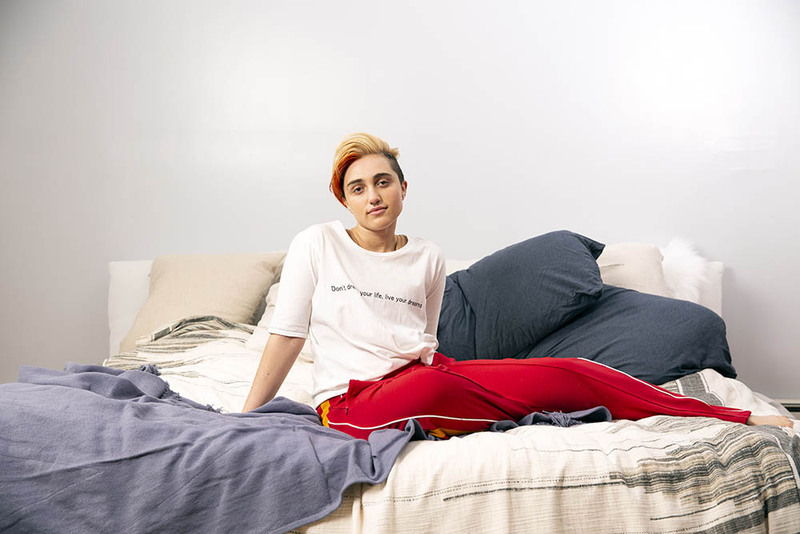 A transmasculine gender-nonconforming person and transfeminine non-binary person sitting on a bed. 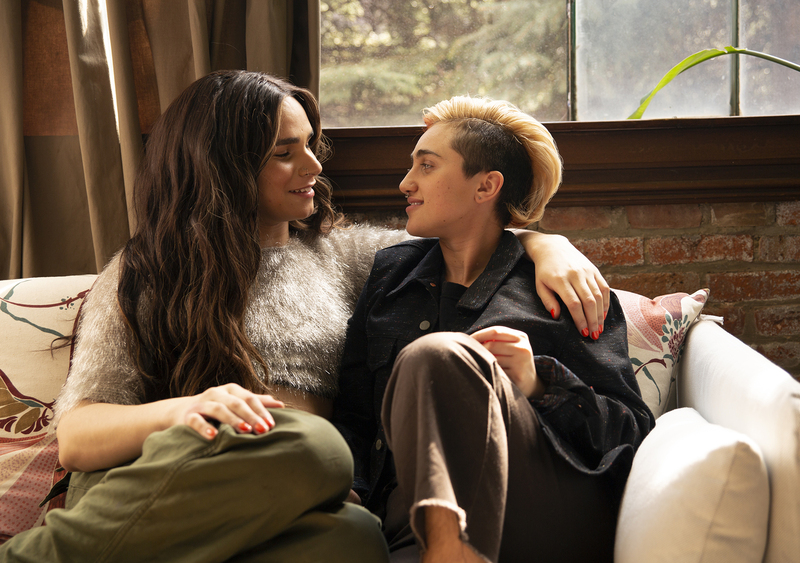 A couple holding hands on a couch. 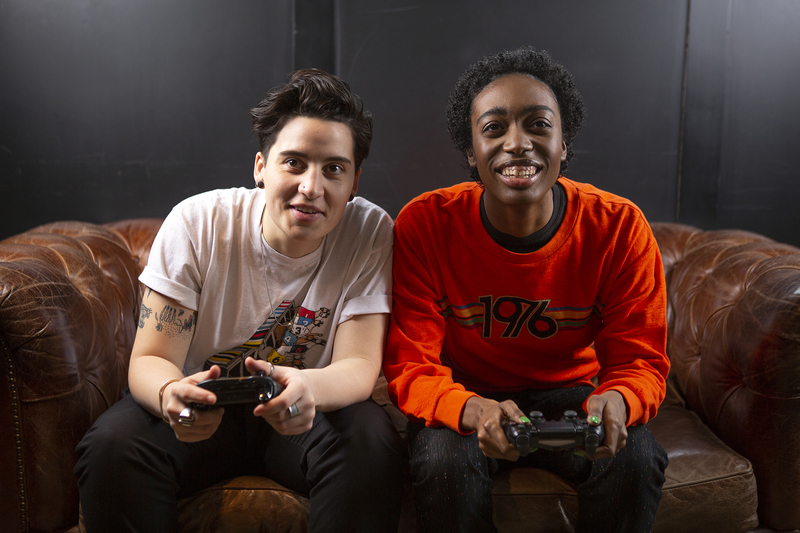 Two transmasculine friends embracing while sitting down. 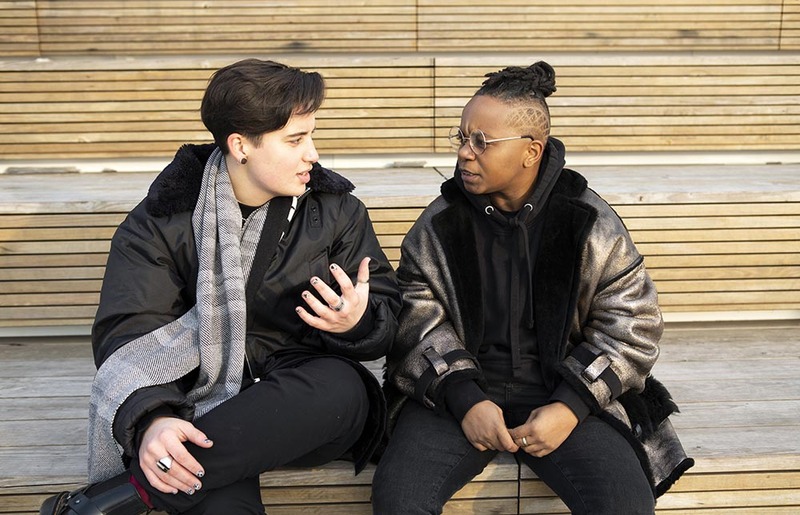 Two transmasculine people sitting together and having a serious conversation. 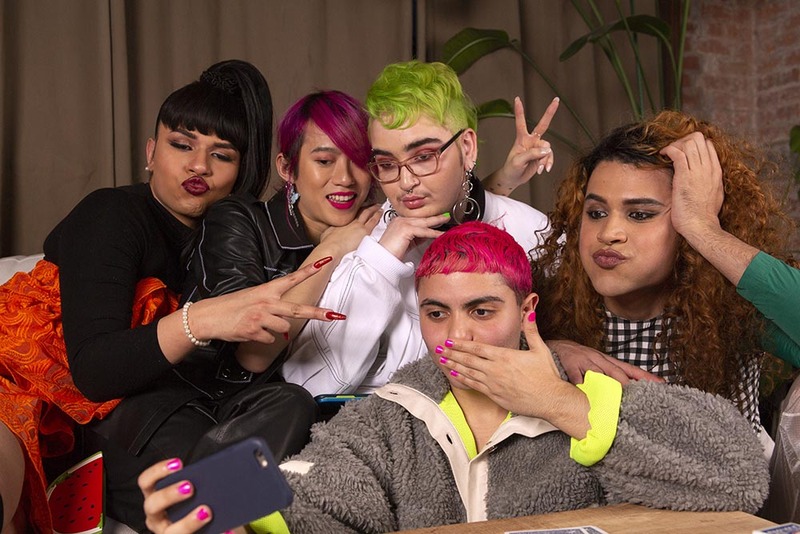 A group of friends of varying genders taking selfies. 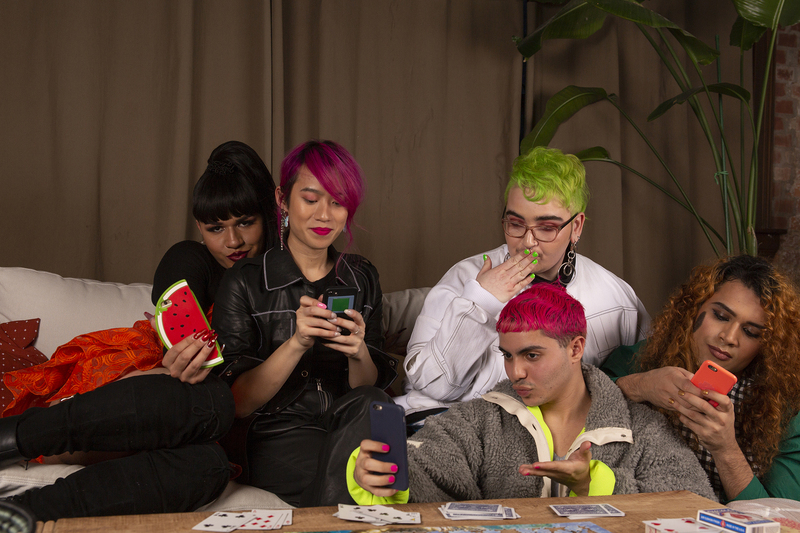 A transgender woman holding a phone in a watermelon-shaped case. 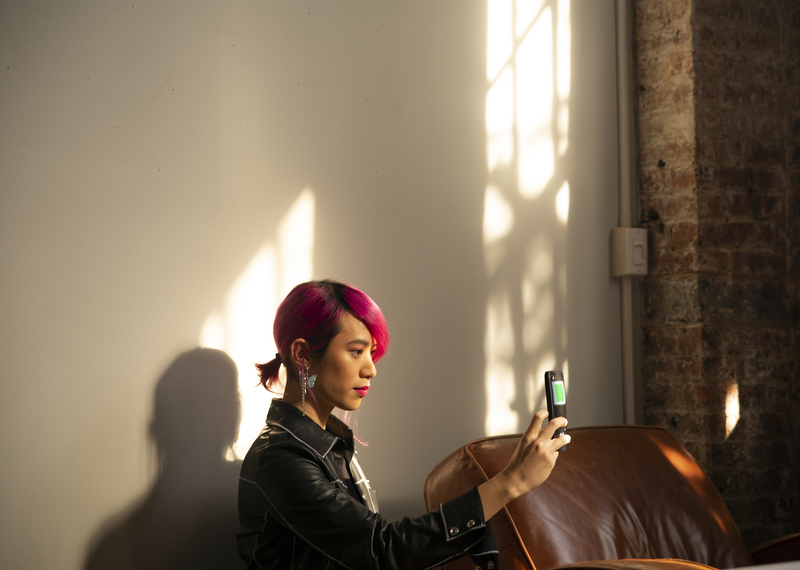 A non-binary femme using their phone. 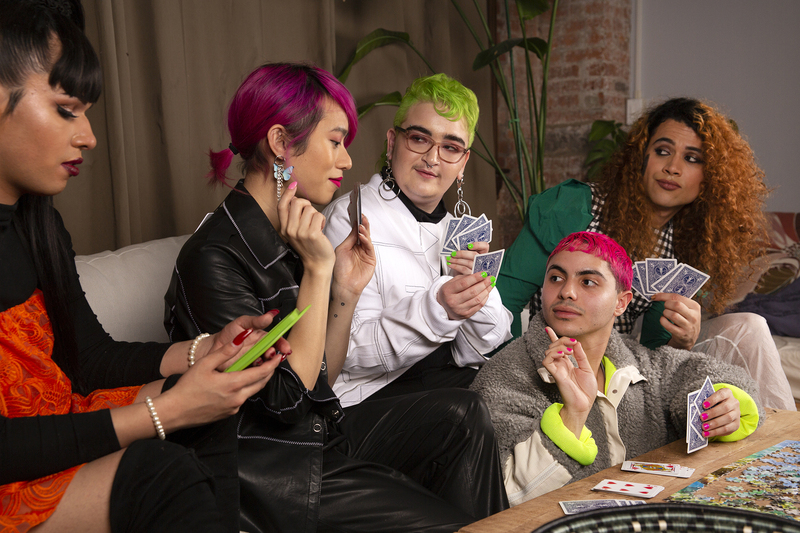 A genderqueer person looking at their phone. 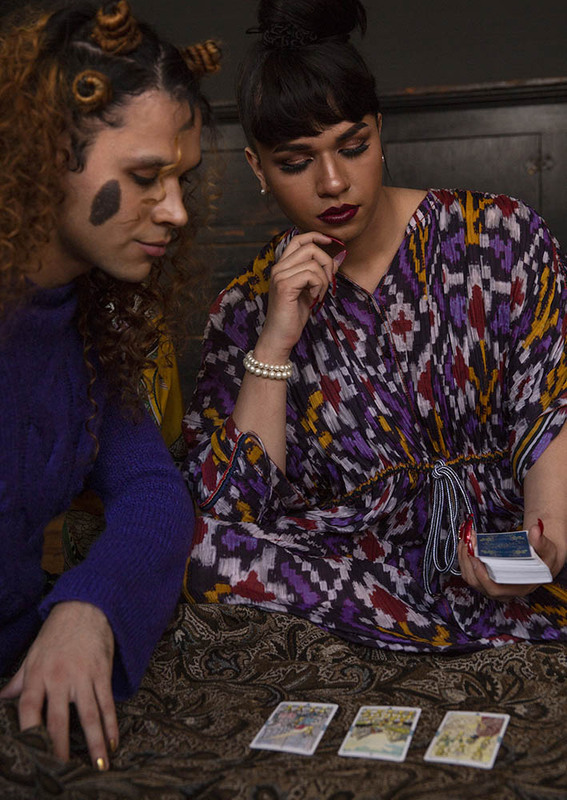 A transfeminine non-binary person and transmasculine gender-nonconforming person looking at a phone with upset expressions. 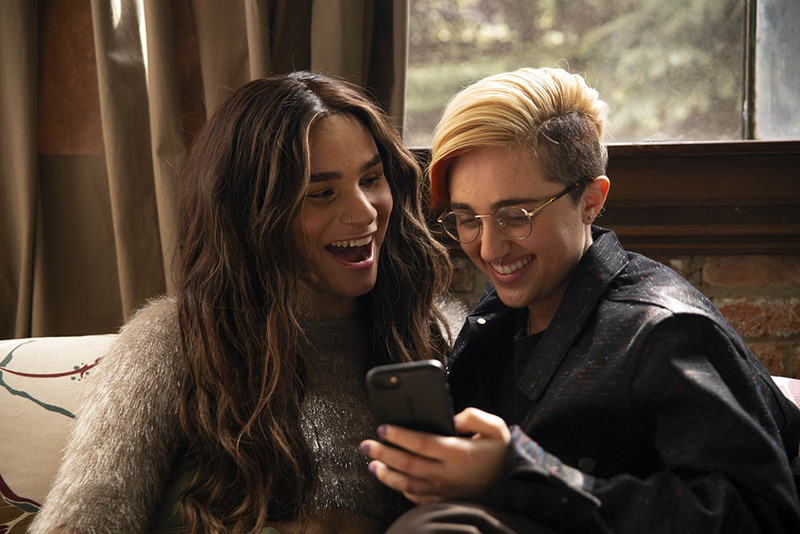 A transfeminine non-binary person and transmasculine gender-nonconforming person looking at a phone and laughing. A transgender woman listening intently on the phone. 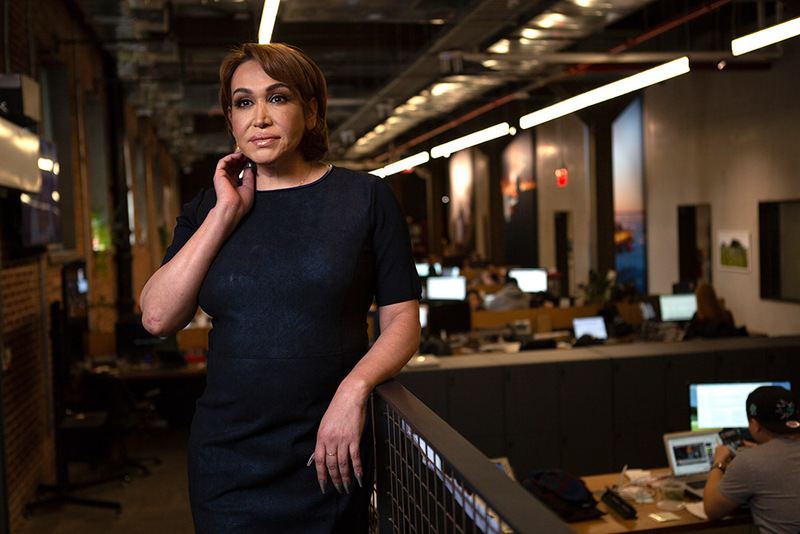 A transgender woman on the phone. 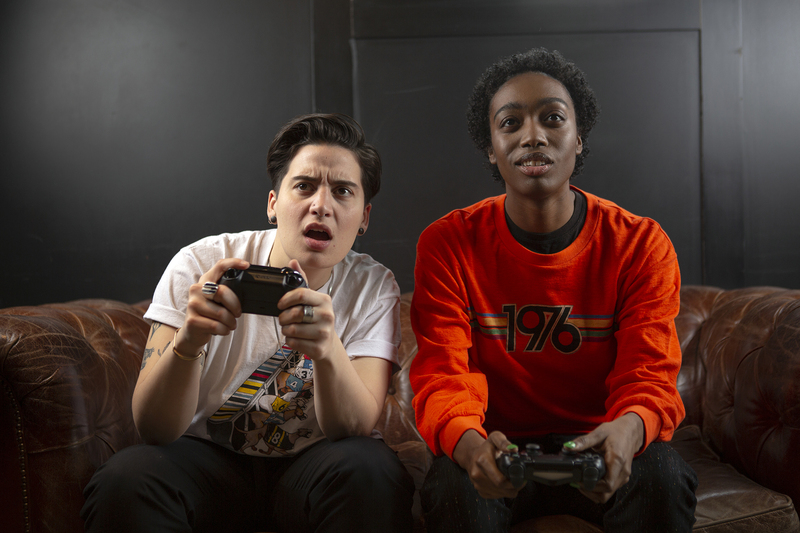 Two non-binary friends playing video games. 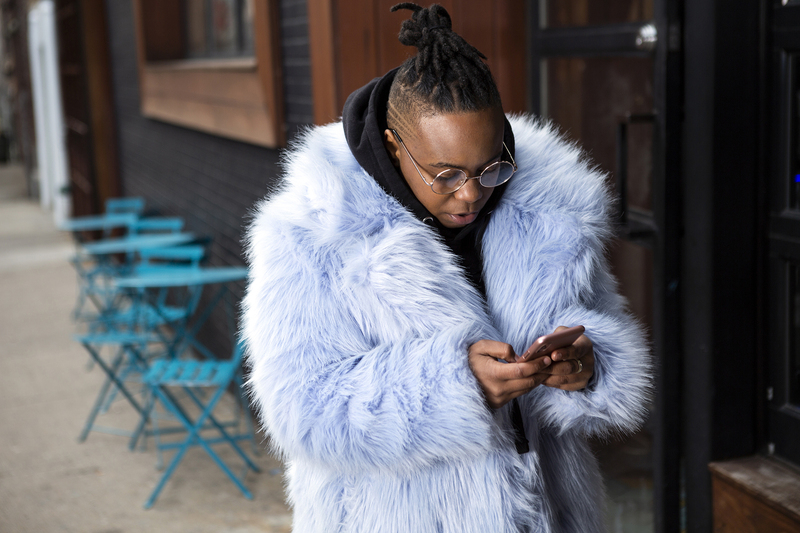 A transmasculine person with a furry blue coat checking his phone on the sidewalk. A transgender woman with an espresso standing at a bar and contemplating. 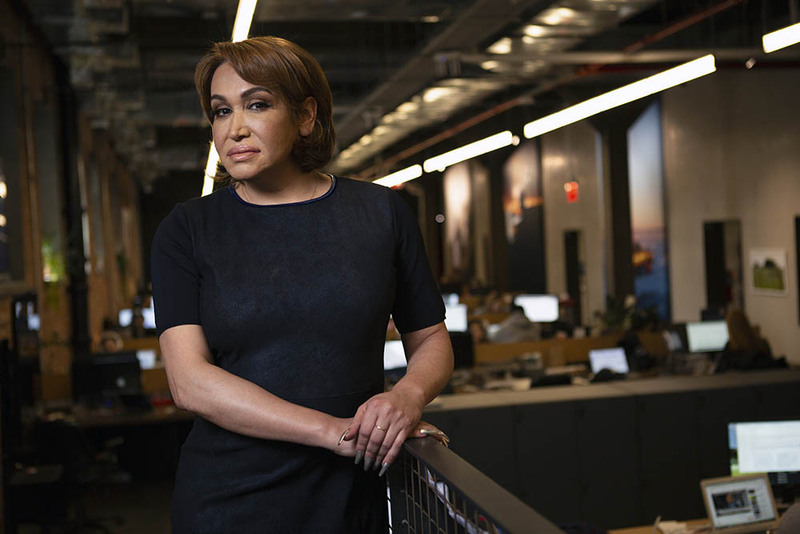 A transgender woman in business attire standing proudly in an office. A transgender woman in business attire smiling in an office. 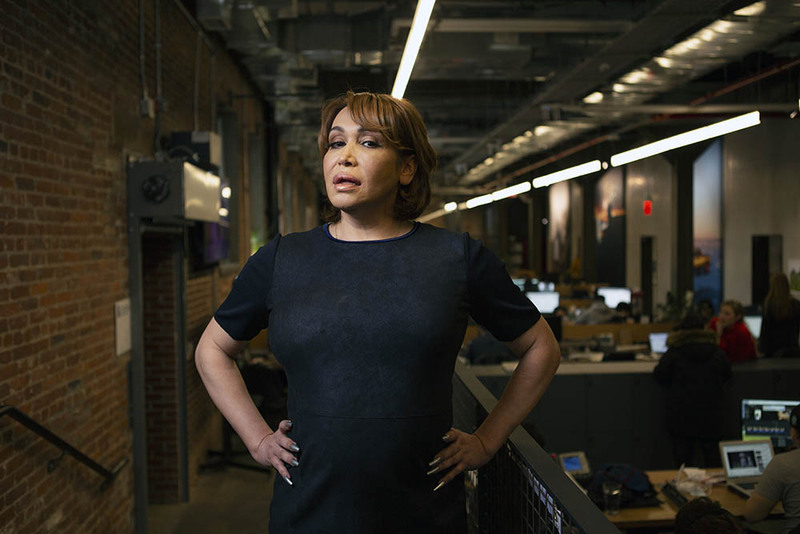 A transgender woman in business attire in an office. A non-binary person making a presentation at work. The hands of two colleagues in a meeting at work. 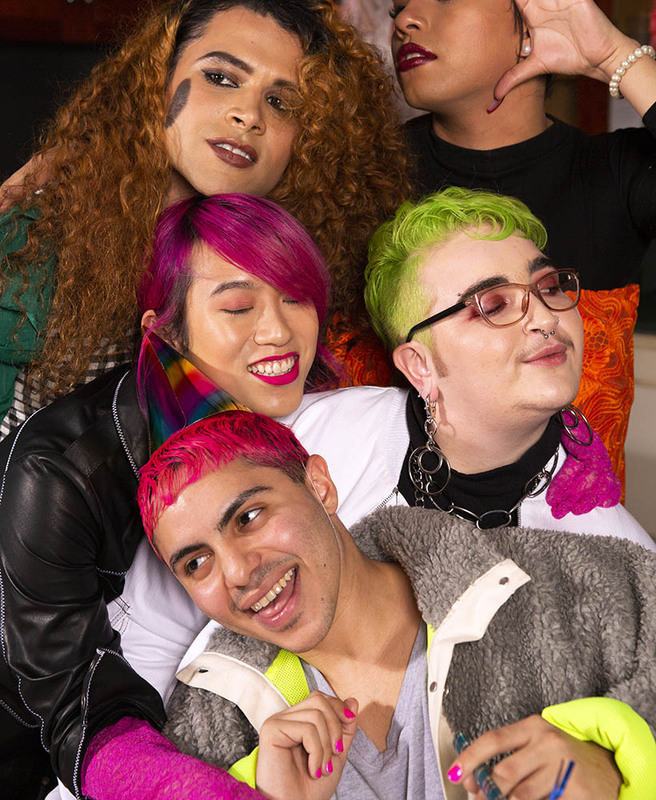 Two colleagues, a transgender woman and a non-binary person, laughing in a meeting at work. 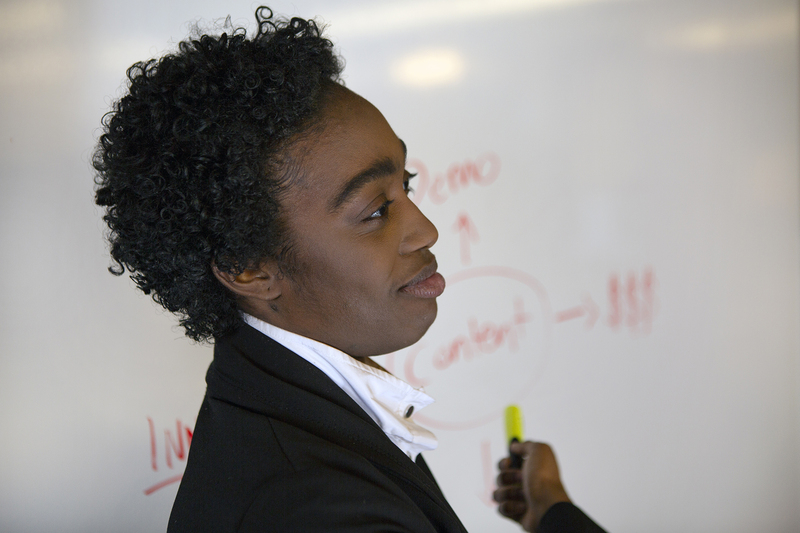 A transgender woman in a meeting at work. 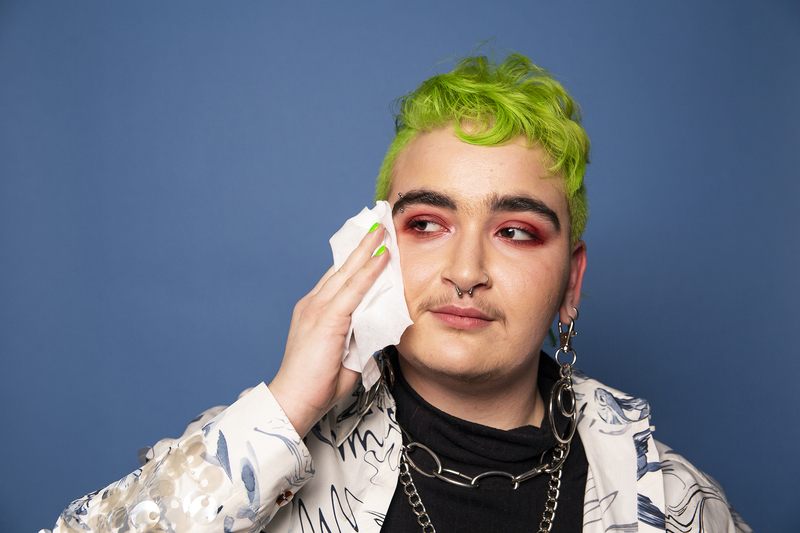 A non-binary employee in a meeting at work. 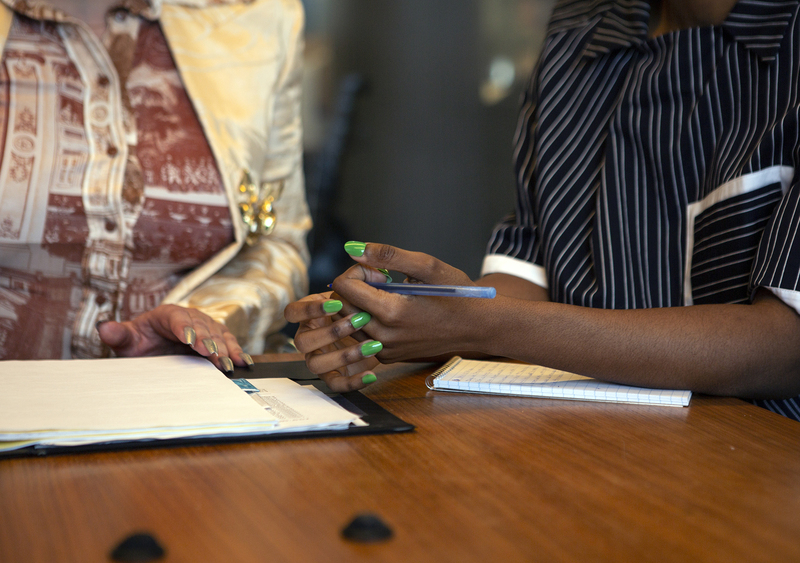 A transfeminine executive meeting with a non-binary employee. 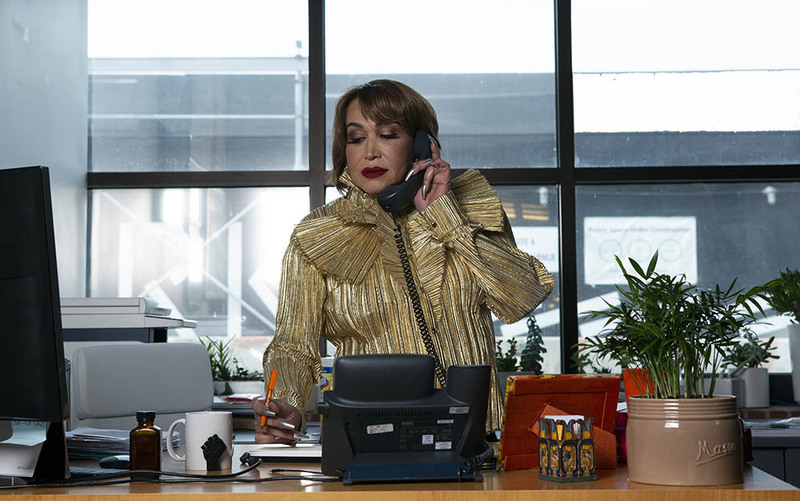 A transfeminine executive using the phone in her office. 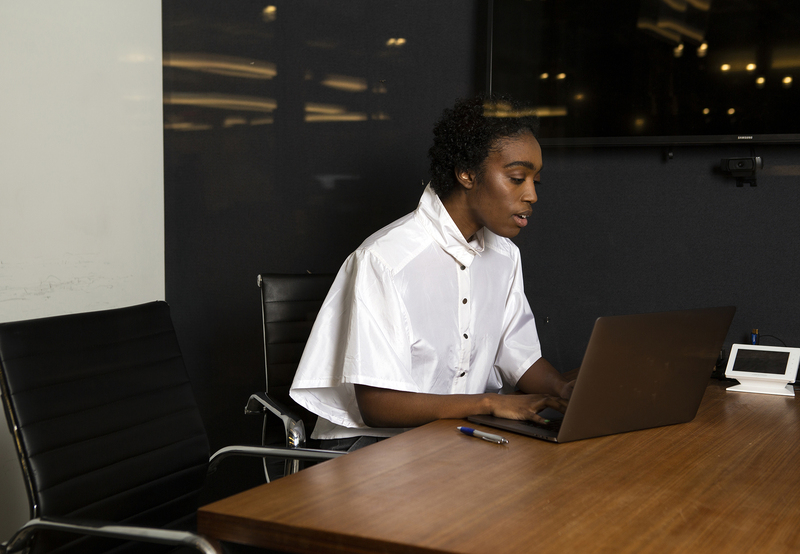 A non-binary person using a laptop at work. 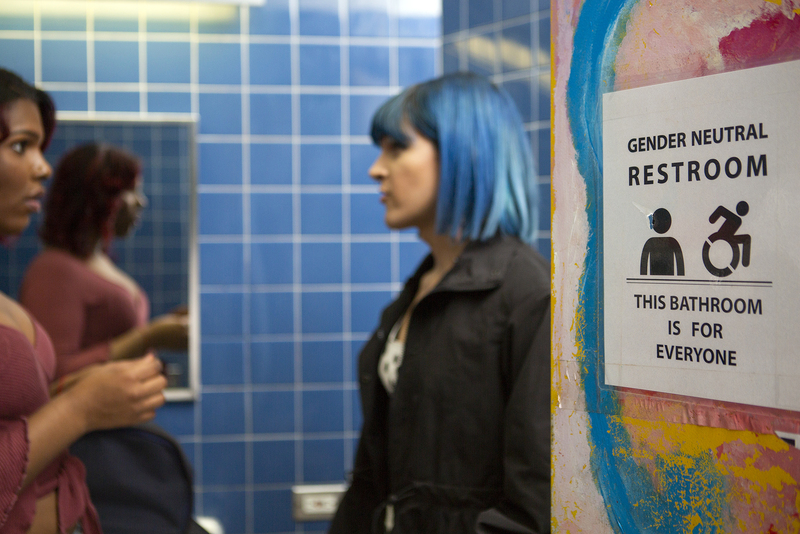 Two students in a gender neutral bathroom. 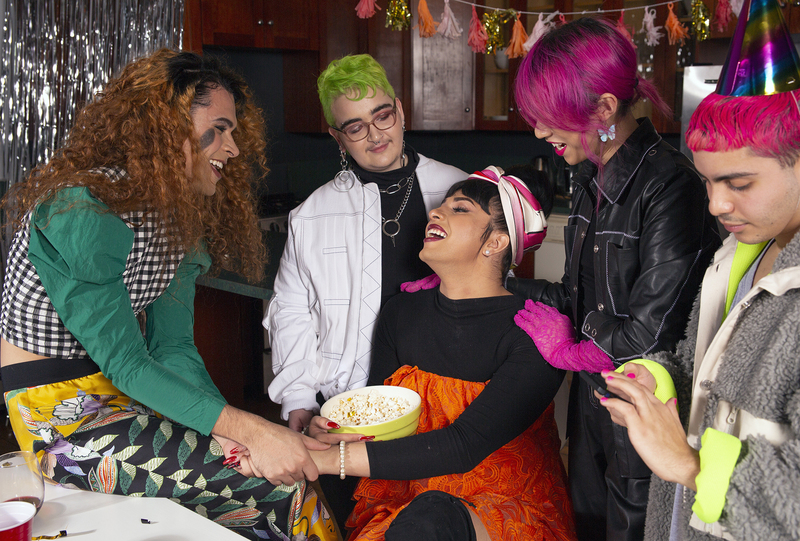 Two students, a transgender woman and a non-binary femme, holding hands in a school bathroom. 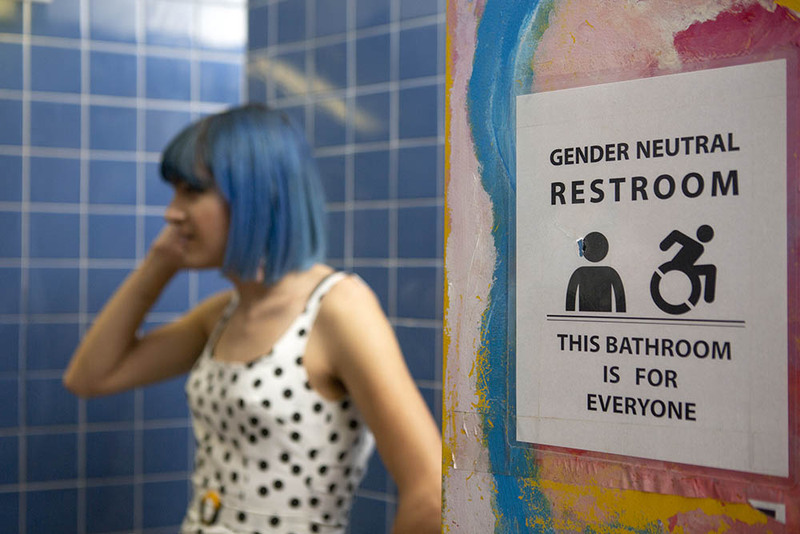 A non-binary femme embracing another student in a school bathroom. Two students, a transgender woman and a non-binary femme, having a confrontation in a school bathroom. 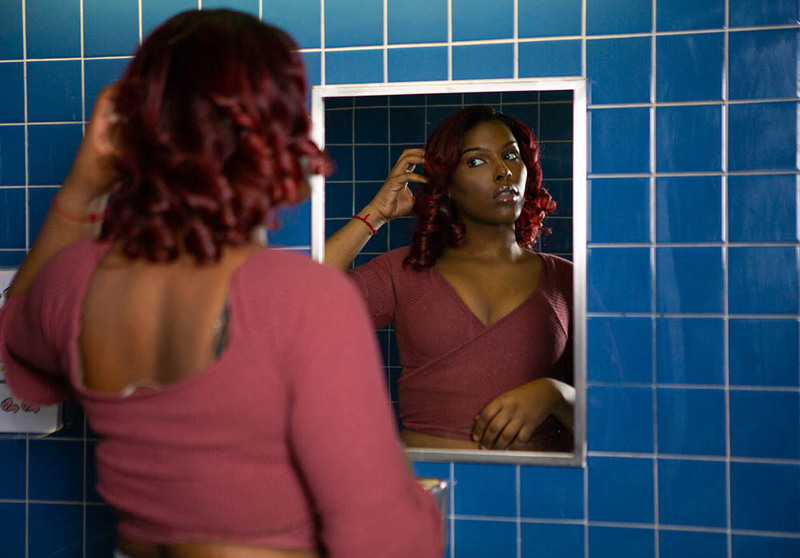 A young transgender woman looking in the bathroom mirror at school. A young transgender woman using her phone in a school bathroom. 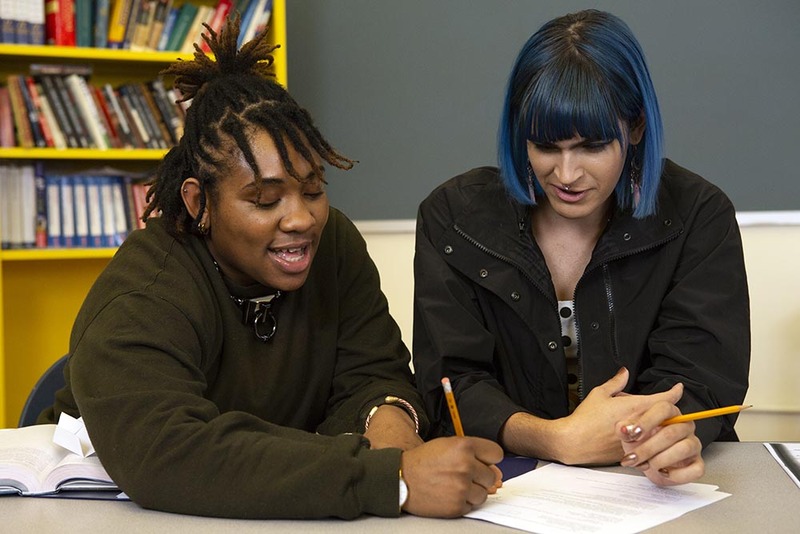 Two non-binary students doing work together in class. A transfeminine student and masculine student laughing together in class. 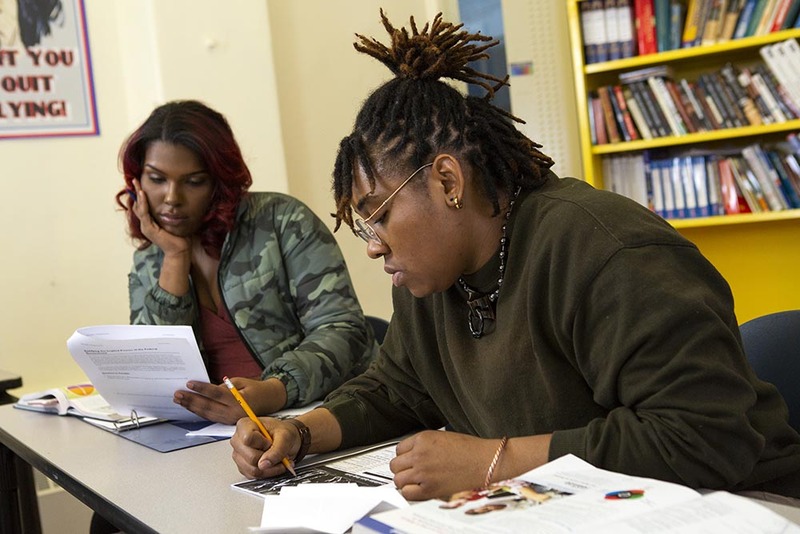 A transfeminine student leaning on a masculine student in class. 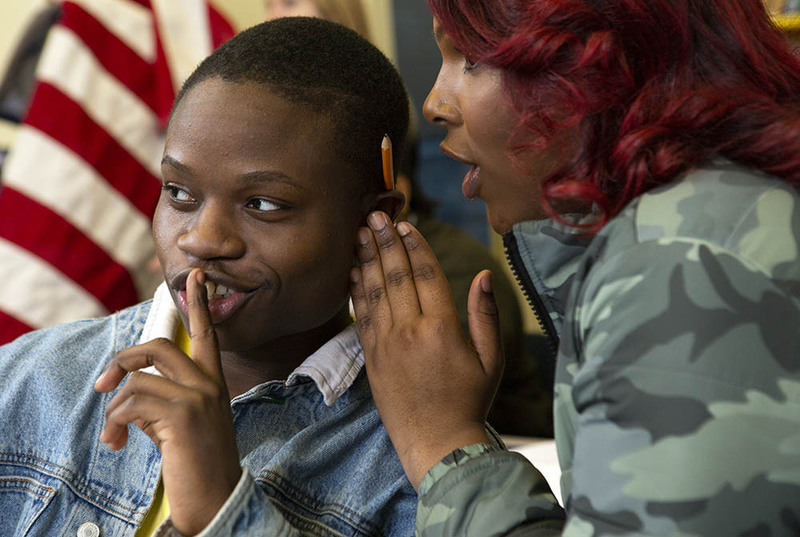 A transfeminine student telling telling a secret in class. 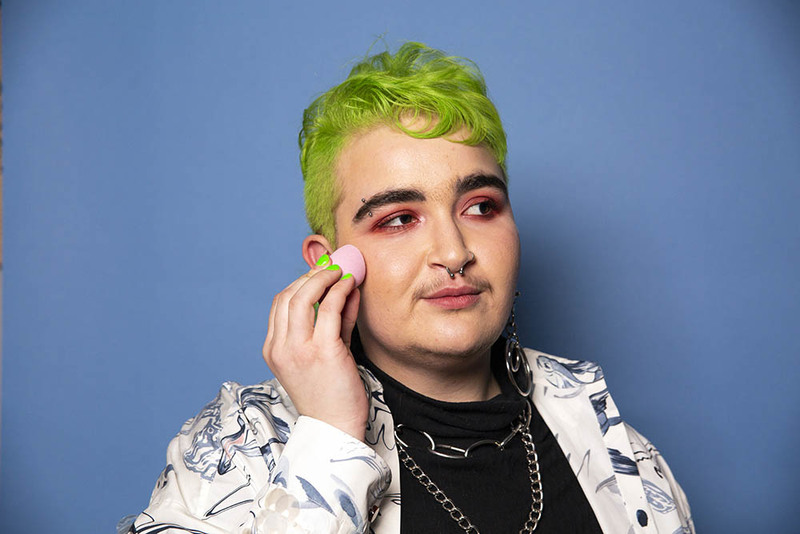 A non-binary student taking notes in class. 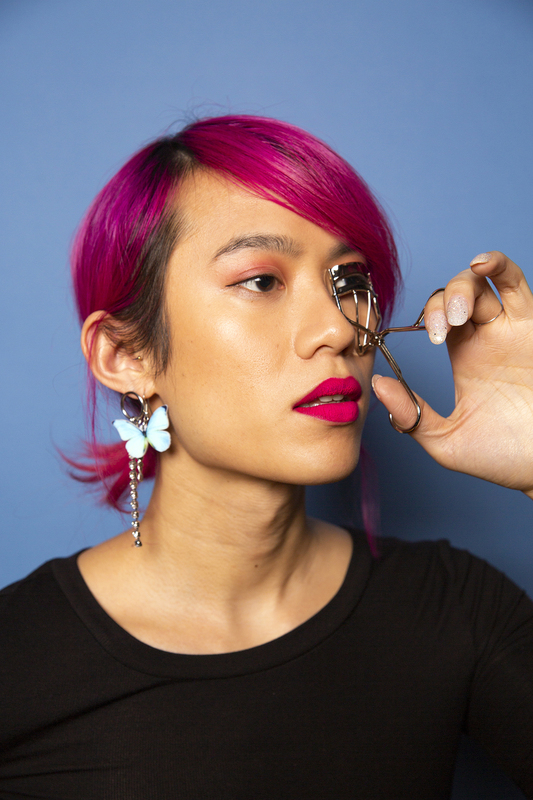 A transfeminine student sitting in class and rolling her eyes while using her phone. 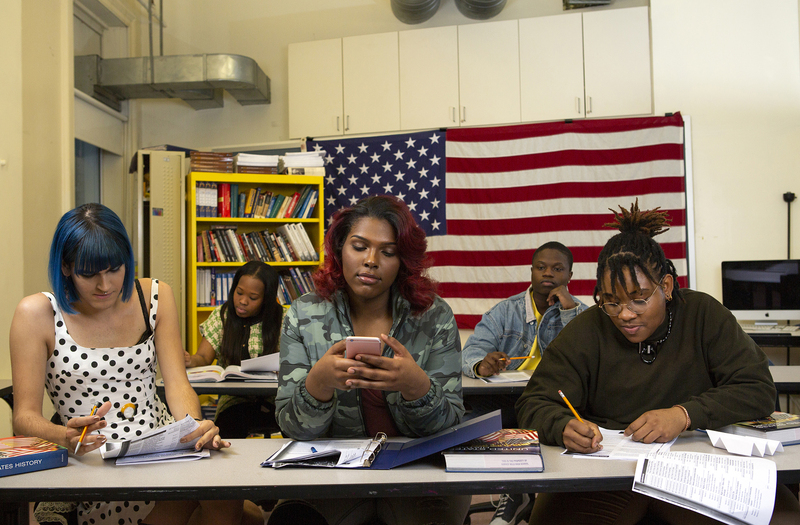 A transfeminine student sitting in class and using her phone. 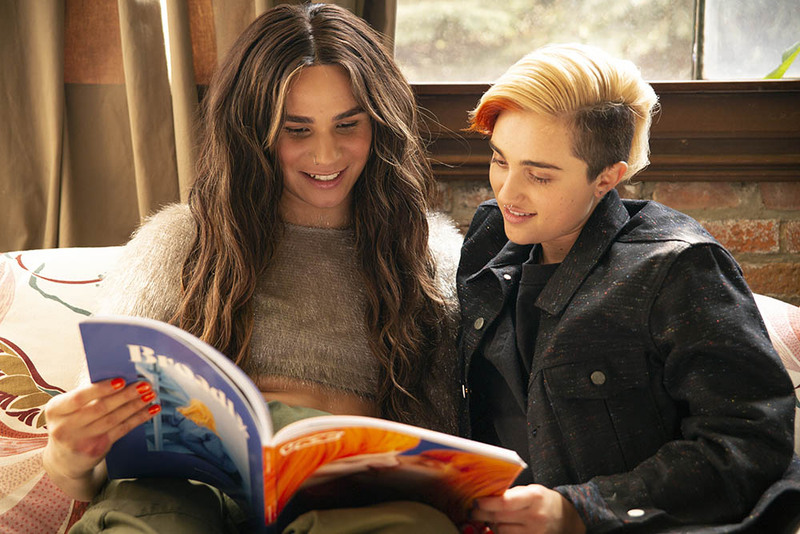 A transfeminine student and a non-binary femme student sitting in class. 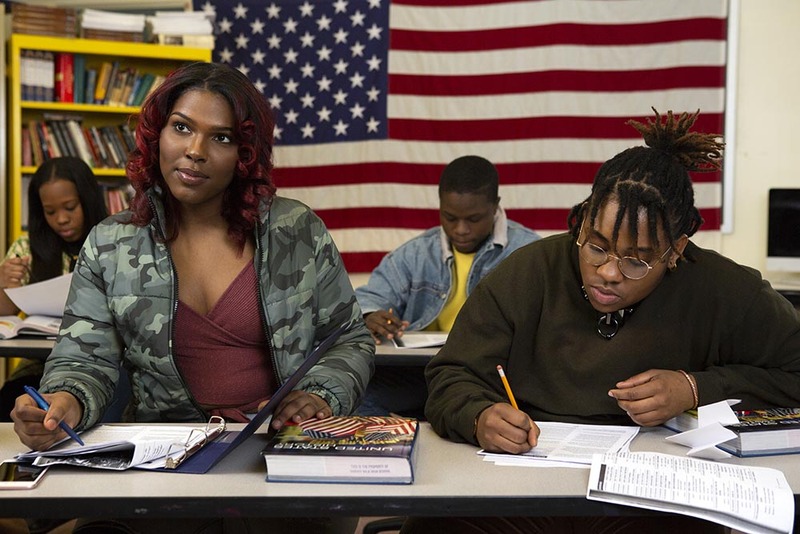 A transfeminine student sitting next to a non-binary student in class. 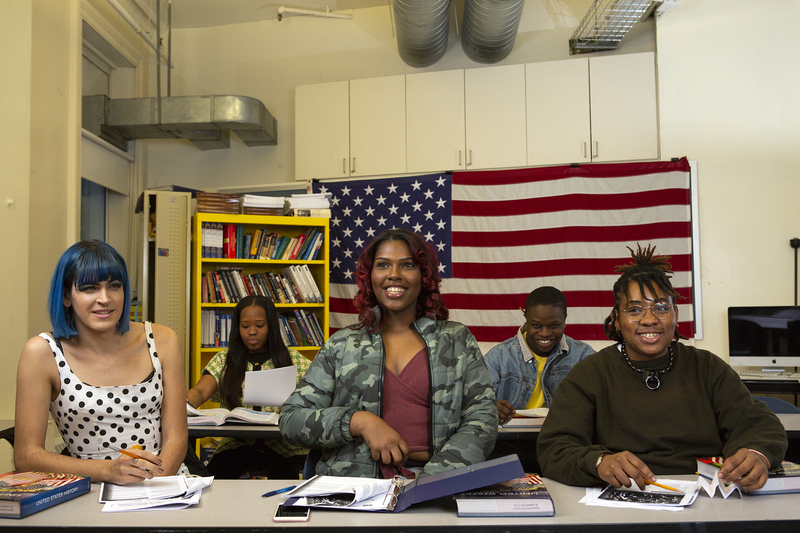 A class of students with varying gender identities laughing. A transfeminine student sitting in the middle of a class with students of varying gender identities. 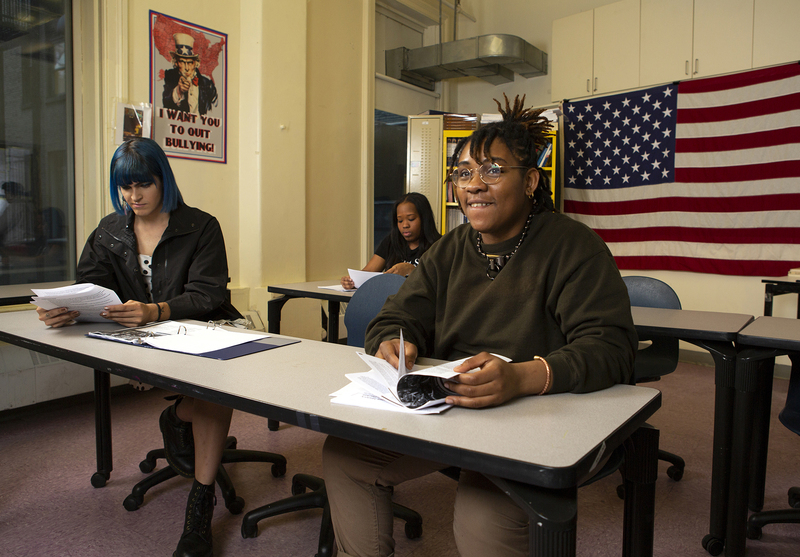 A non-binary student sitting in class. 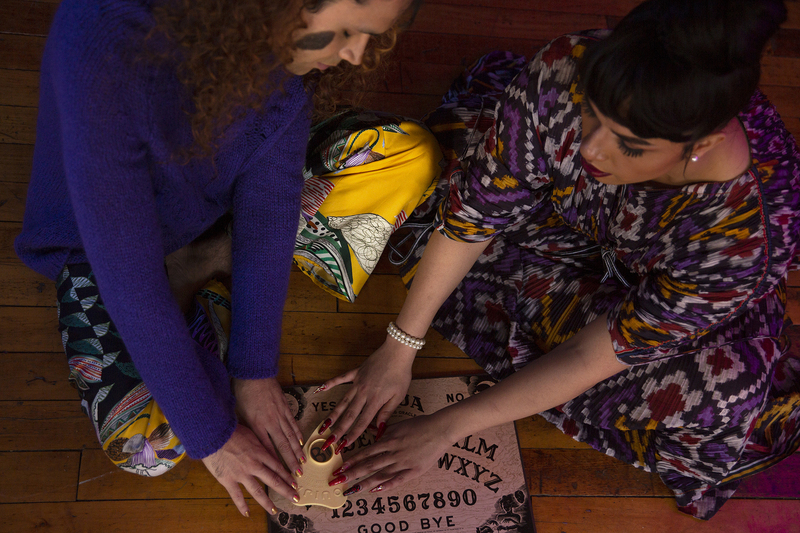 A non-binary femme student talking to a friend in front of their locker. 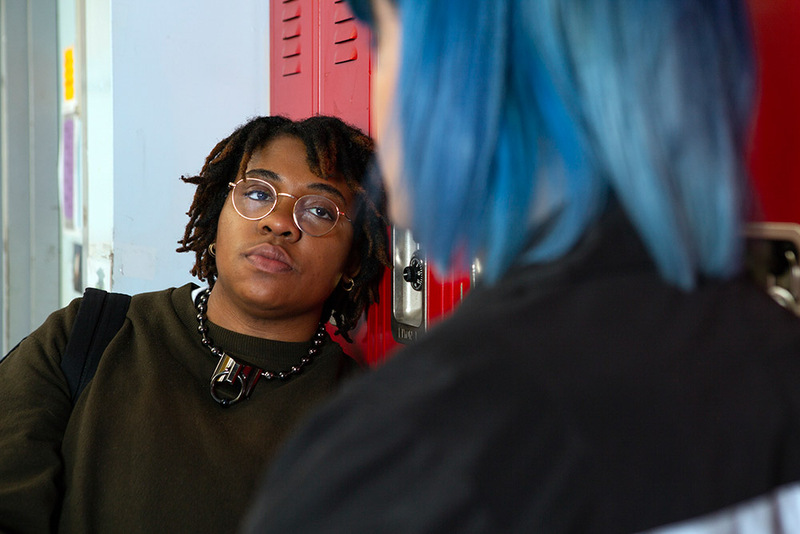 A non-binary student talking to a friend in front of their locker. Two non-binary talking to eachother in a school hallway. 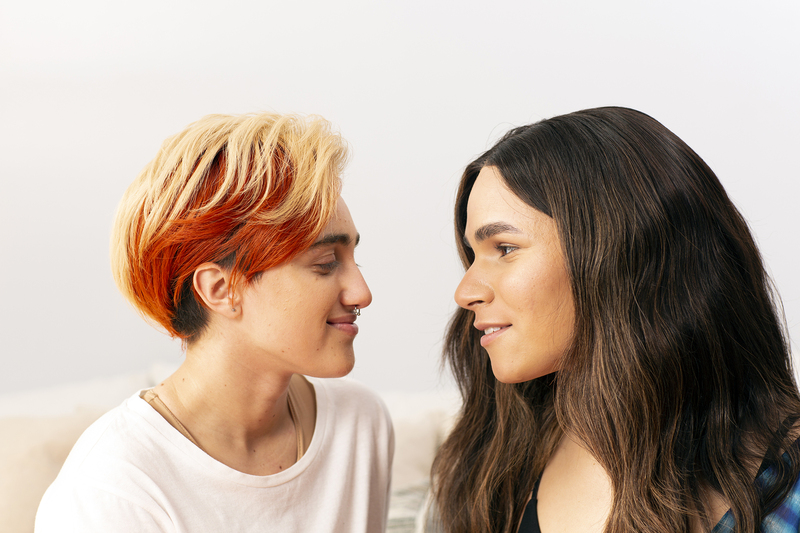 Two non-binary students looking at each other in a school hallway. 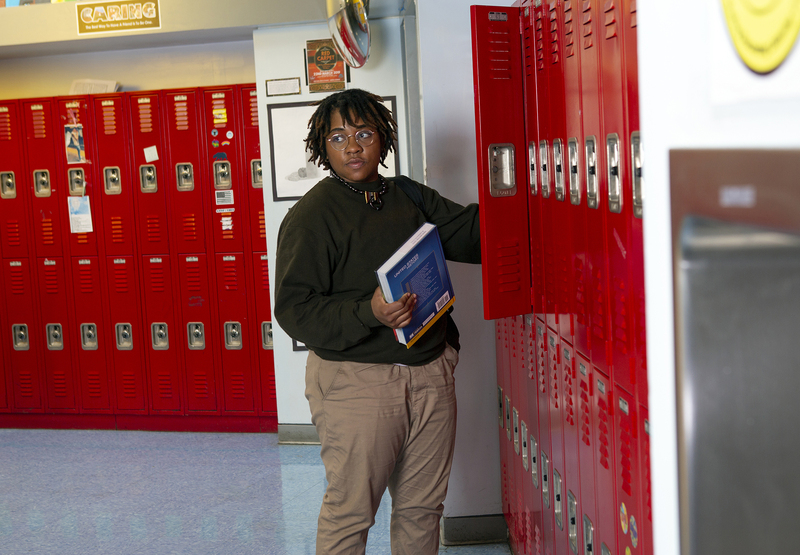 A non-binary student getting a book out of their locker. 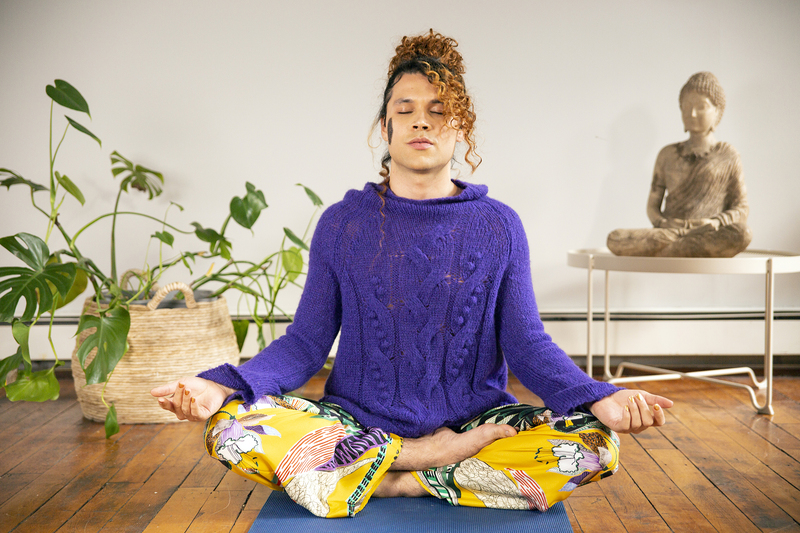 A genderfluid person practicing yoga. 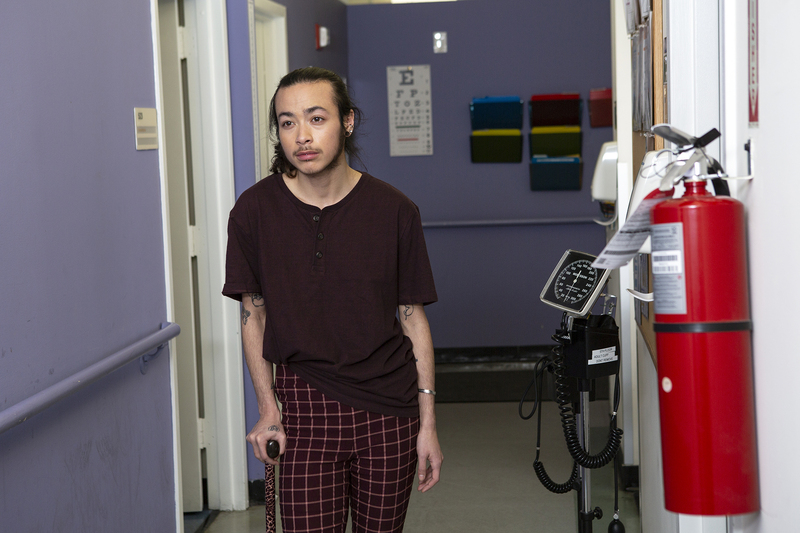 A genderqueer person with a cane walking down a hallway in a hospital. 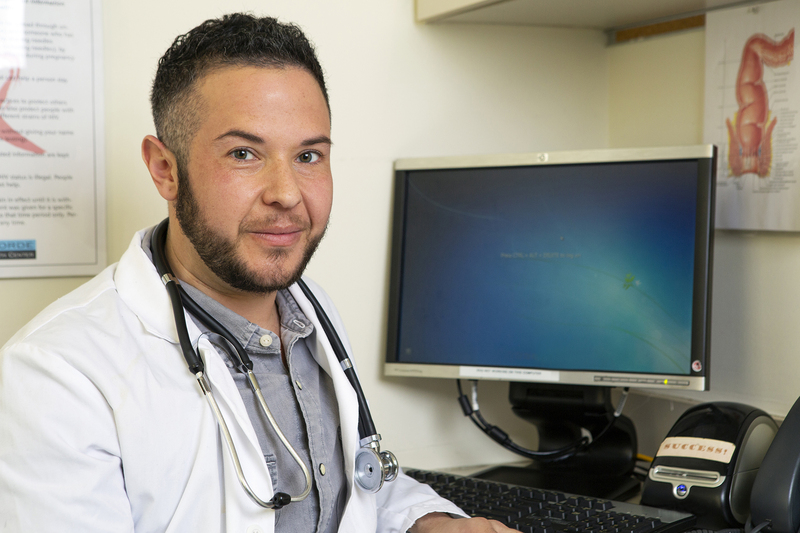 A transmasculine doctor in front of his computer. 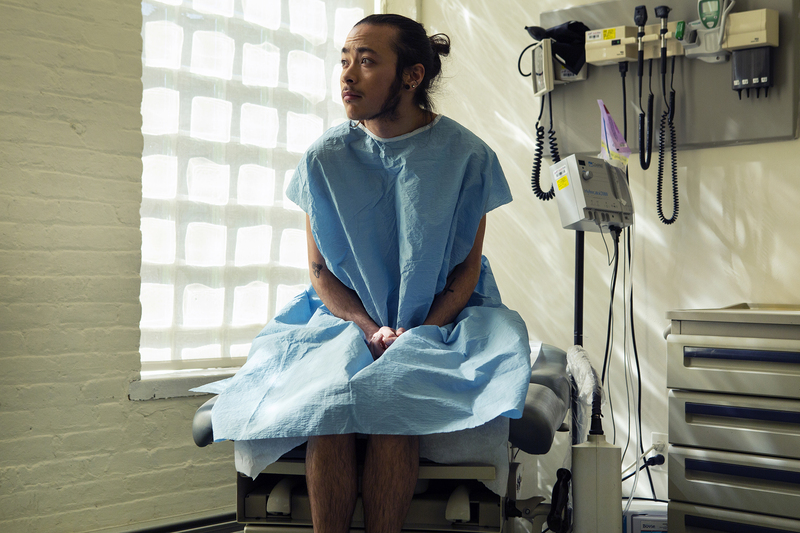 A genderqueer person in a hospital gown receiving a pelvic exam. 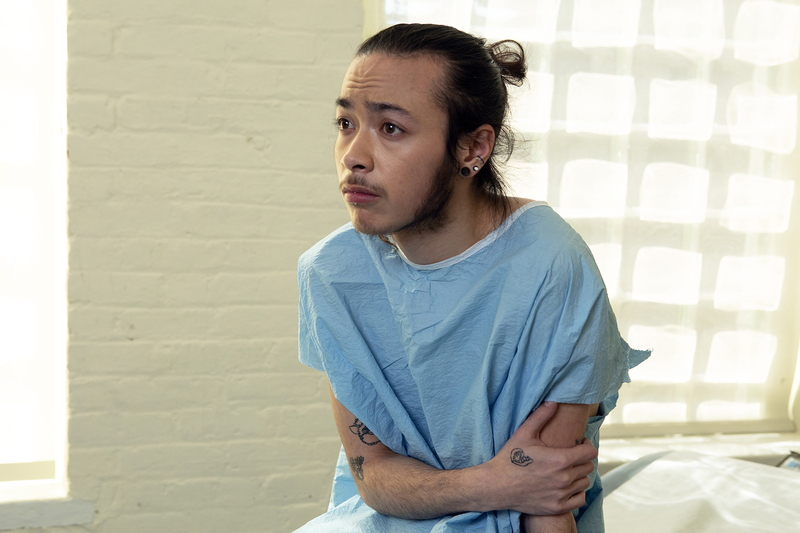 A genderqueer person sitting in a hospital gown sitting in an exam room and looking worried. A genderqueer person sitting in a hospital gown sitting in an exam room. 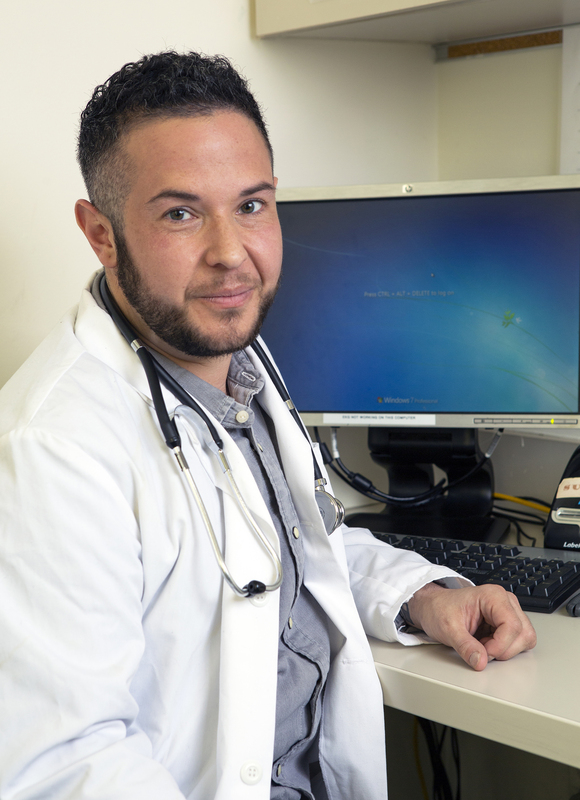 A genderqueer person recieving menstrual products from a doctor. 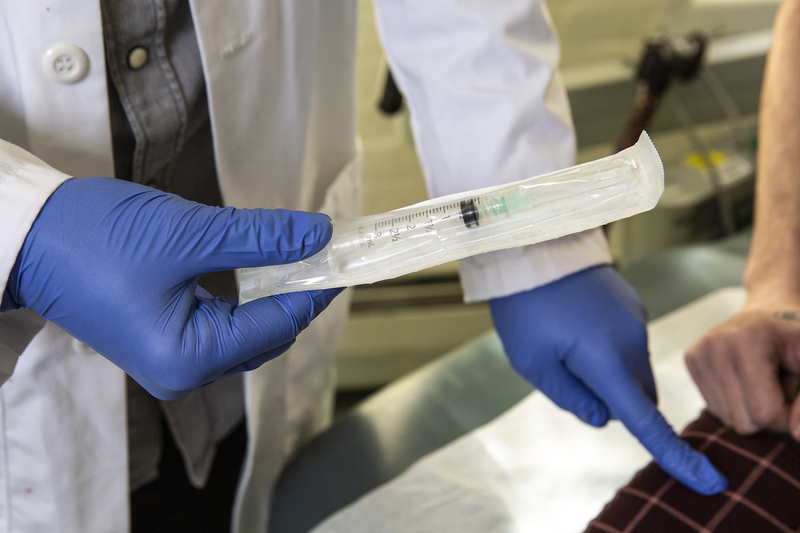 A doctor showing a patient a syringe used to inject testosterone. 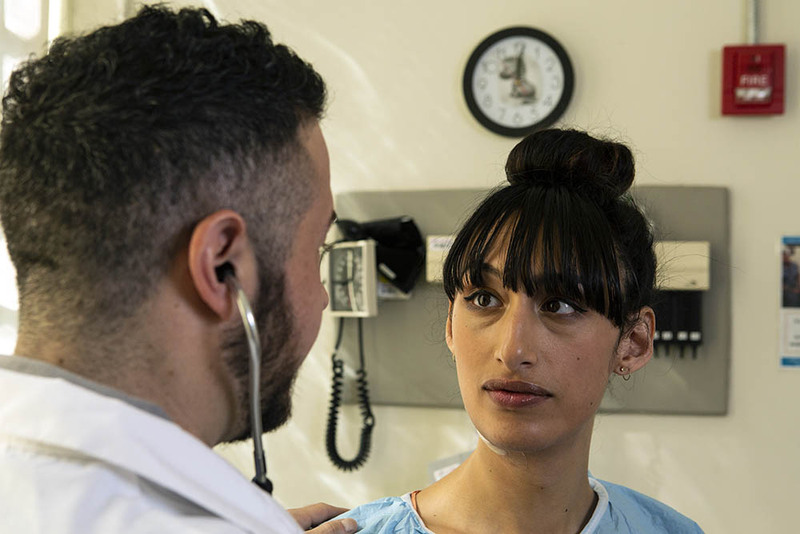 A transgender woman in a hospital gown being treated by a doctor, a transgender man. A transgender woman in a hospital gown speaking to her doctor, a transgender man, in an exam room. 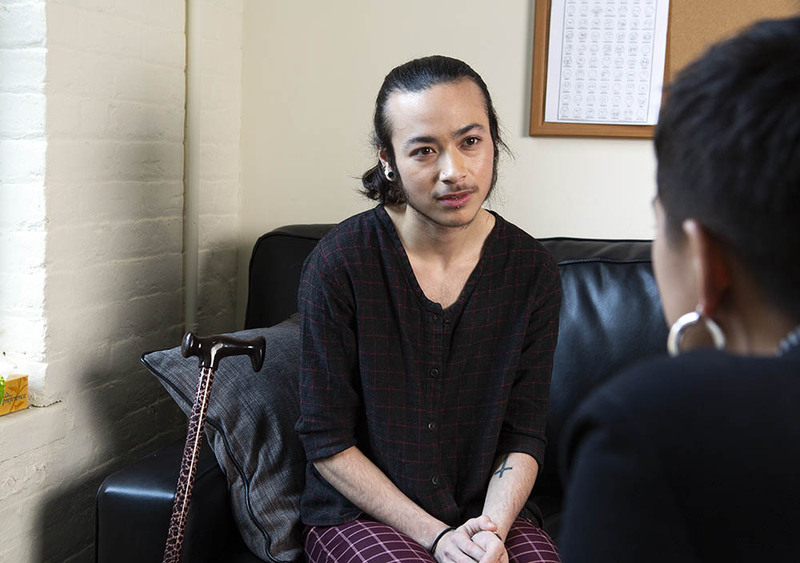 A transgender woman meeting her doctor in the waiting room of doctor's office. 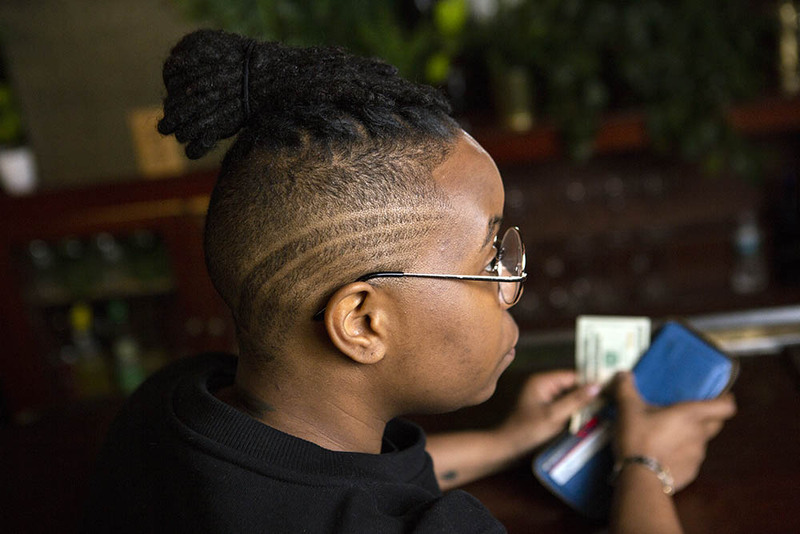 A transgender man filling out paperwork in the waiting room of a doctor's office. 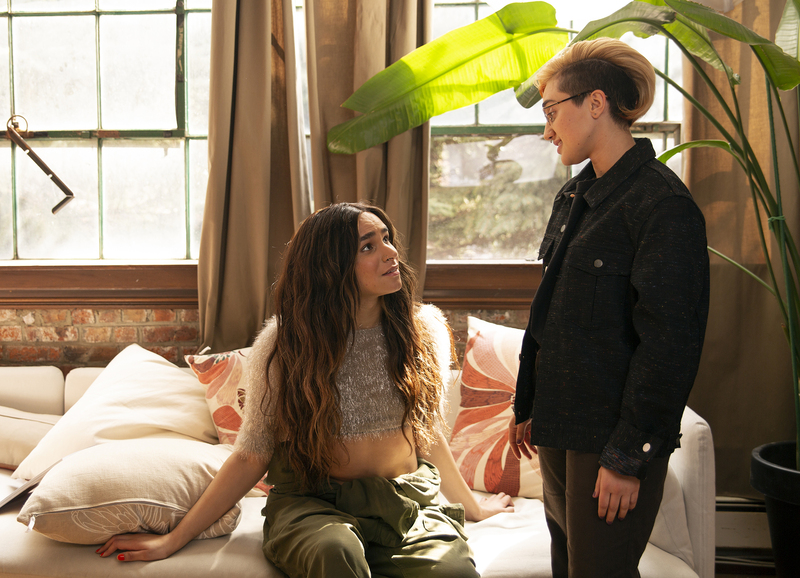 A genderqueer person comforting a transgender woman on a therapist's couch. A couple, a genderqueer person and transgender woman, sitting on a therapist's couch and talking. 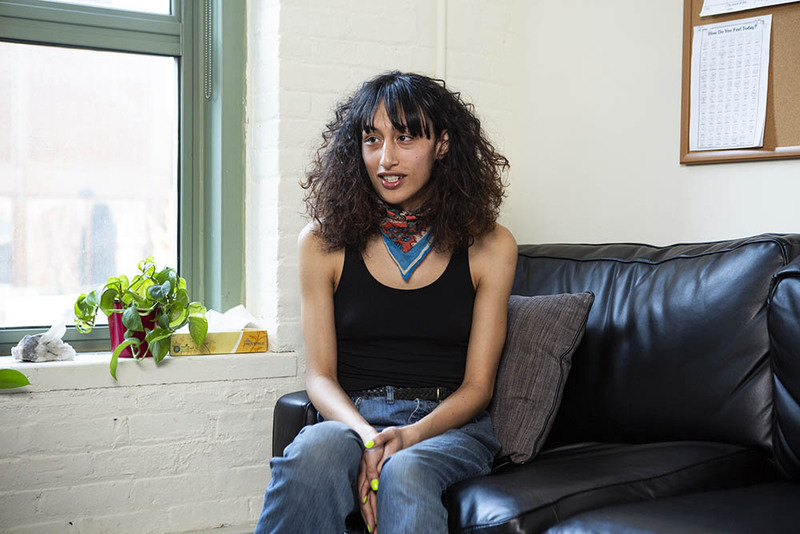 A genderqueer person sitting on a therapist's couch, listening. 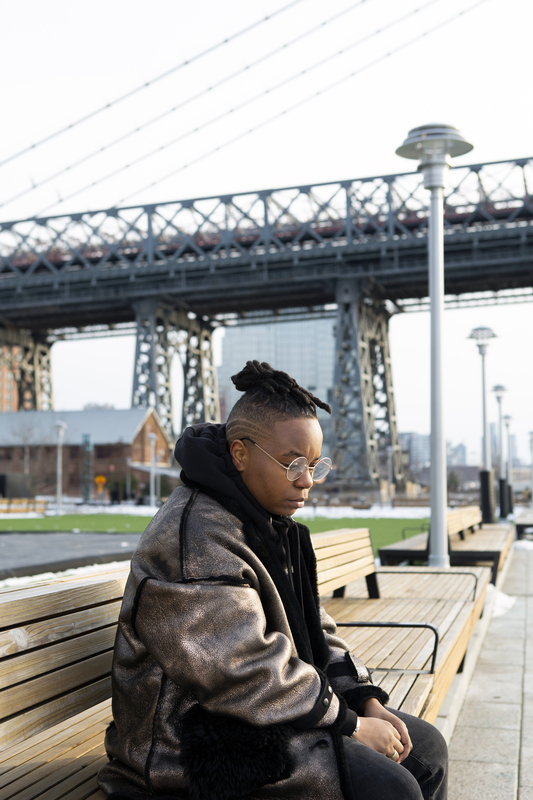 A genderqueer person talking to a therapist. 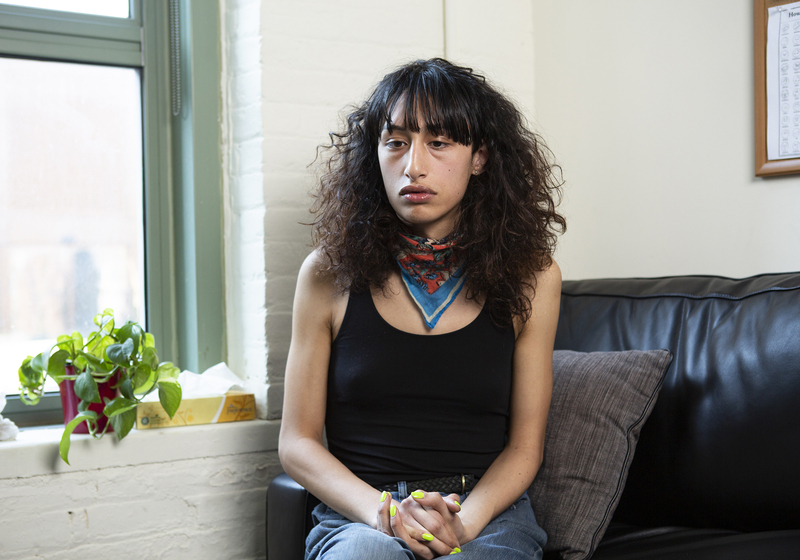 A transgender woman sitting on a therapist's couch and crying. 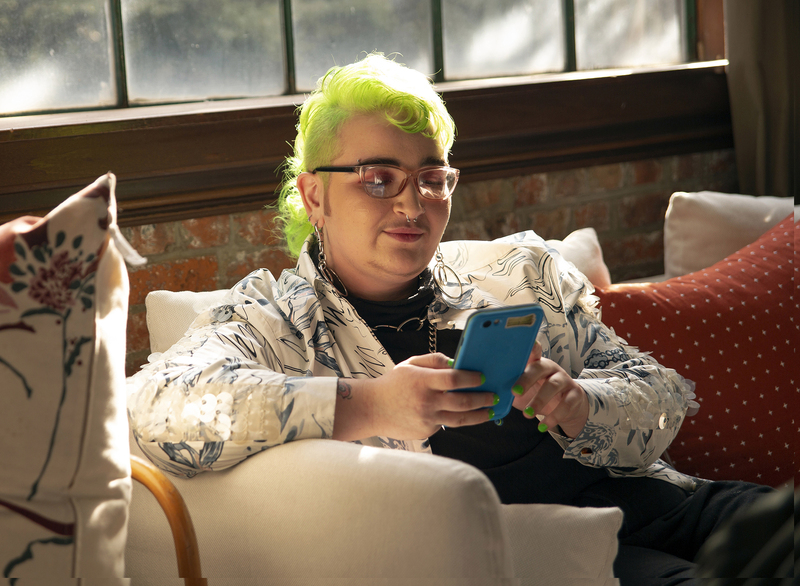 A transgender woman sitting on a therapist's couch and listening. 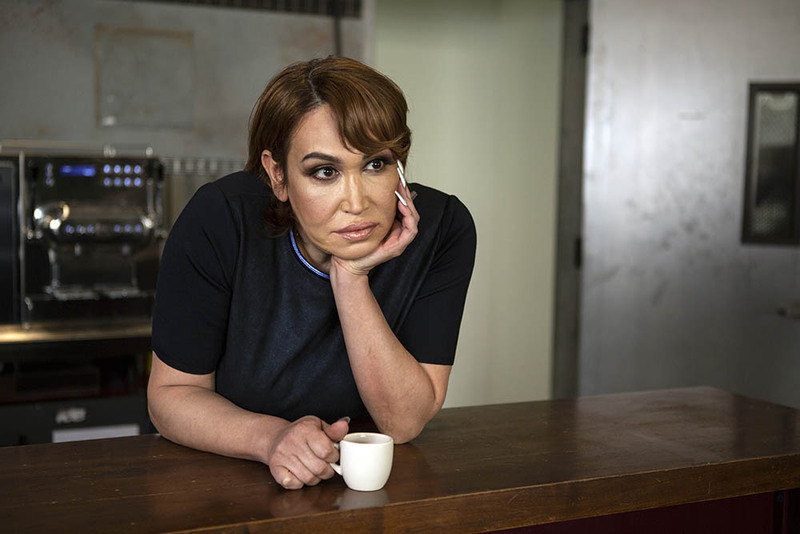 A transgender woman sitting on a therapist's couch and looking upset. 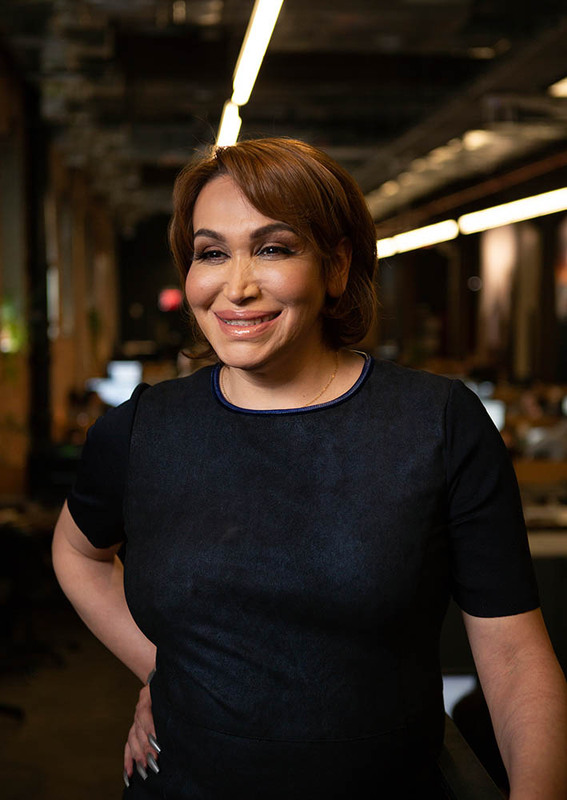 A transgender woman sitting on a therapist's couch and smiling. A transmasculine doctor with his computer. 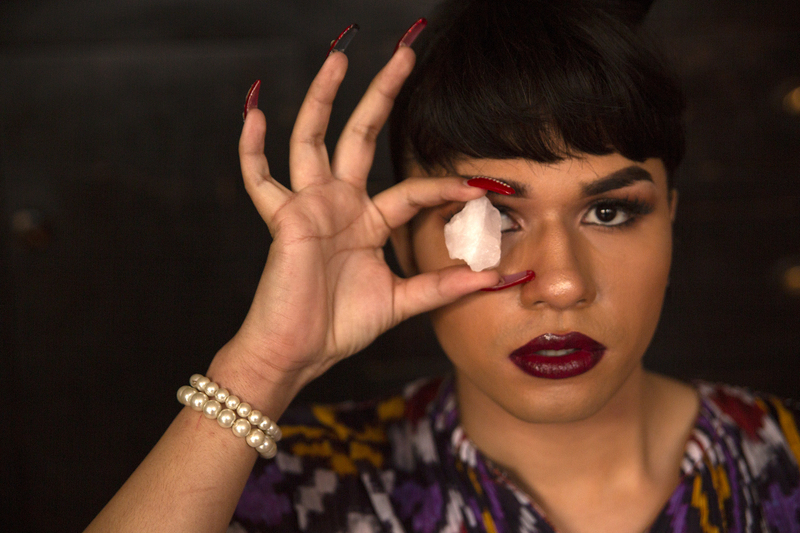 A transgender woman wipes tears off her face in a bathroom. A young transgender woman looking panicked in a bathroom.